LAS VEGAS DAZE: New Year's Eve 2014 at Aria's Attraction party! Only a hour flight away from Las Vegas we visit frequently, sometimes once a month. I'll be sharing our trip reports, tips on making the most of your stay in Vegas, reviews of restaurants and shows we have seen, along with my thoughts related to our favorite place to get away from it all. 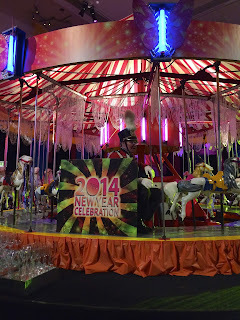 New Year's Eve 2014 at Aria's Attraction party! 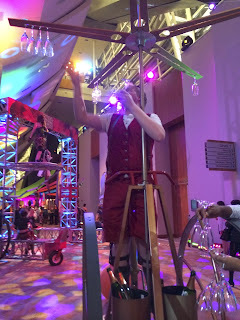 This trip report is going to include a lot of information on Aria's New Year's Eve party for anyone who might be curious what it's like to go to a casino invited New Year's Eve party! I've gone to Las Vegas a lot over the last few years since we live in California but never during New Year's Eve. My husband and I were convinced it would be too crowded for us to enjoy so we turned down numerous invites over the years from Venetian/Palazzo and other properties. However this last year after listening to my friends like SDguy tell me I had to go because I was missing too much fun, I got my husband to agree we would go sometime in the future to cross it off my bucket list. We couldn't cross it off his bucket list because it wasn't on there, LOL! Since we had a trip planned for the first time for Christmas, it wasn't going to be this year, until I received a phone call from my girlfriend Terri who lives in Vegas. Terri had received a comp offer to the Aria NYE's party, where the tickets were worth $1150.00 a piece if someone paid for them. Why so much? 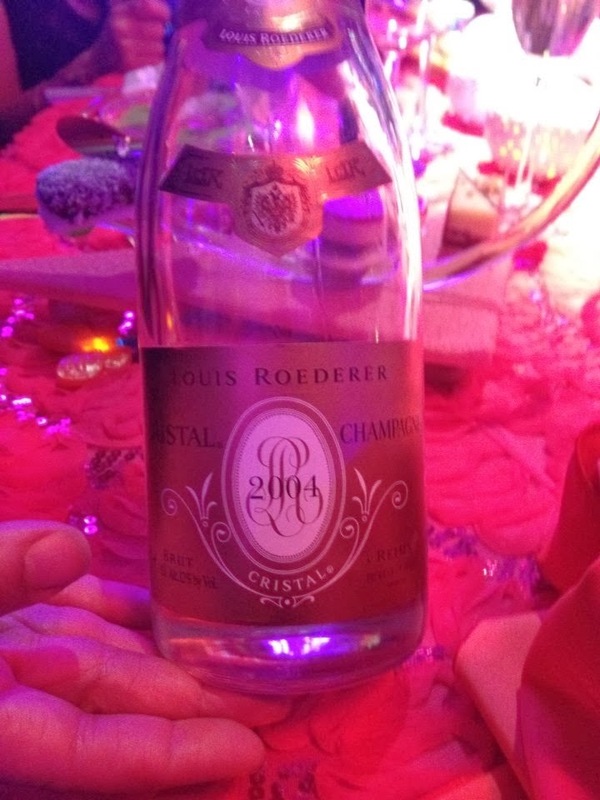 Might be that the party includes unlimited Cristal! 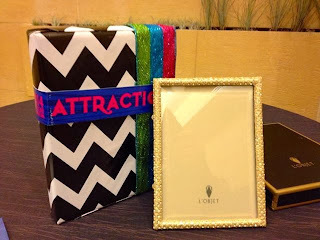 The over the top Aria invitation that Terri received in the mail was a long velvet hardcover booklet of 6 pages! Terri knowing how much I love over the top parties asked if I wanted to go with her and I certainly did but sadly didn't think it would work out due to Christmas trip but said I would talk it over with husband and get back to her. The last 26 New Year's Eve's have been spent with my husband so I was really surprised when Randy encouraged me to go to this party and leave him at home with our son who had just broken up with his girlfriend and so didn't have a date this NYE. Turns out that Randy's thinking was if I went this New Year's Eve to a party that shouldn't be missed because I might never get invited again, then he would never have to go to Vegas on New Year's Eve and fight the crowds. ;) Regardless of his cagey thinking I was thrilled to go! After I told Terri the good news that I was able to attend the party with her, she passed along this email her host sent her with a itinerary of the party events. Hello and Happy Holidays !! Well in a blink of an eye, 2013 is ending and 2014 is days away. According to my notes, you will be in attendance of the BIGGEST and BEST (not to mention the most expensive J) party on the strip. 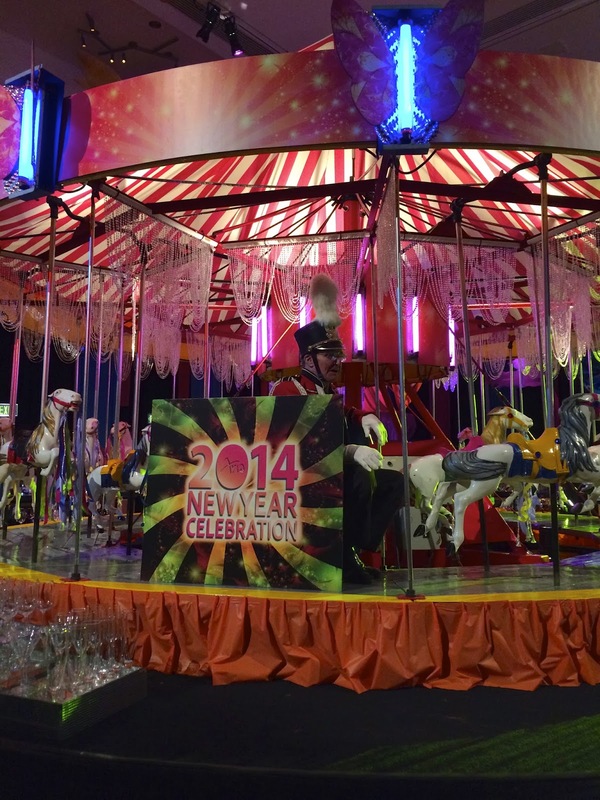 The Aria “Spectacular” New Years party is set to go!! THE MAIN EVENT!! 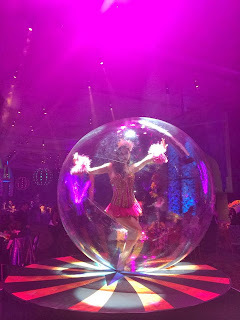 ARIA’S NEW YEARS EVE SPECTACULAR! A 3 COURSE MENU, ENDLESS CRISTAL CHAMPAGNE , AND MANY MANY MANY (MANY) BARS/STATIONS WITH DRINKS CREATED ESPECIALLY FOR OUR PARTY! WE WILL HAVE DOZENS OF GIANT SCREENS SET UP JUST FOR PARTY GOERS TO WATCH THE BOWL GAMES-IN THE JUNIPER BALLROOM – DOORS OPEN AT 9AM AND GOES TILL 5PM ---- PLENTY OF FOOD AND DRINK AGAIN !! Get ready to EXPLODE into 2014 with ARIA ! 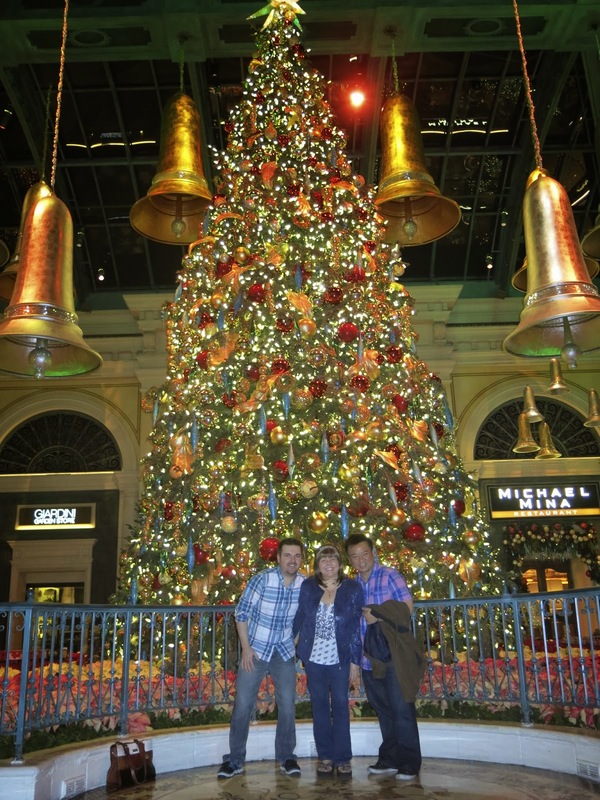 I returned home from our Christmas trip on Friday and left again for Vegas on Tuesday! I just had time to clean the house, prepare NYE goodies for my husband and son and pack up again. My flight out of San Jose on New Years Eve was about 70 minutes late, but my favorite driver Terri was waiting for me at the airport once I arrived and since she didn't long haul us we were there checking in our luggage at Aria in about 10 minutes. No, I didn't have a Sky Suite darn it, though for the price of the room on New Year's Eve it should have been, LOL! Yes, I had to pay for a room on NYE, though I had the next 2 nights comped with free play and resort credit. The price of waiting until the last minute to try and get a comp on NYE! The lines were long when we got there with the exception of the VIP area where we only had to wait behind one other person. Our rooms were not ready unless we wanted one on the 7th floor so we decided to wait for two rooms on the 33rd floor. While we waited for our rooms we decided to eat at Javier's. We had a nice booth and great service only marred when the man bringing our water tripped and spilled mine all over the table and partly on me. Terri said I did the fastest jump up and out that Terri has ever seen me do so I didn't get completely drenched. I can't remember what Terri ordered, guesses anyone? I know she said she enjoyed it. Above is my shrimp, lobster and Dungeness crab enchiladas, they were delicious! 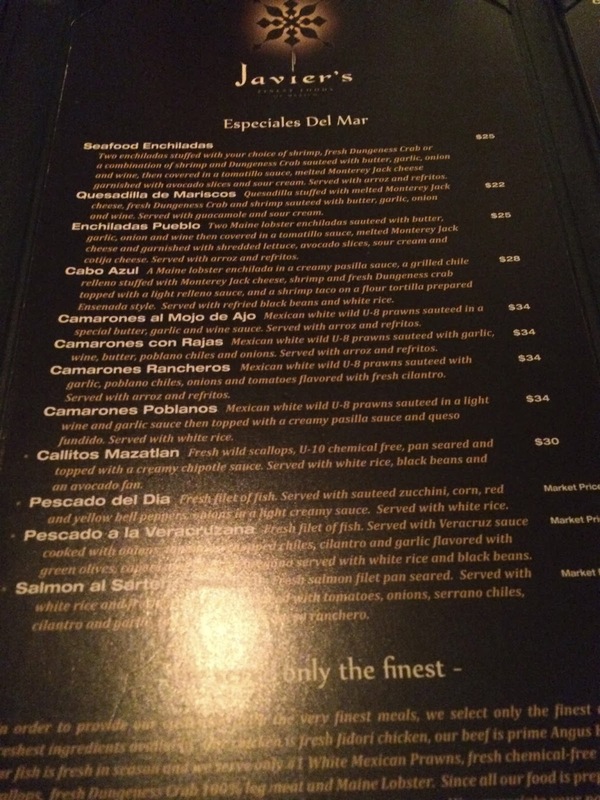 I really enjoyed Javier's and will return there in the future. It was taking a while for our rooms to be ready. I wasn't finding the casino as crowded as I expected but the hotel was full and there were still long lines at registration when we walked by. 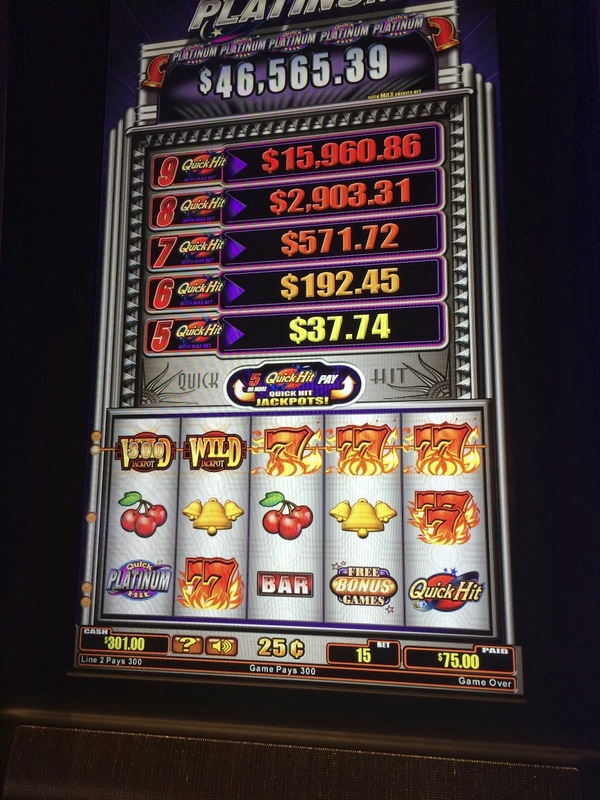 Terri and I set down and played some $1 Top Dollar while waiting for our rooms and the bonuses while not huge were coming so quickly we were slowly working our way up to making some money! We both walked away winners from Top Dollar after about a hour of play! It was time for us to walk over to the Copperleaf ballroom for Terri to pick up our tickets. 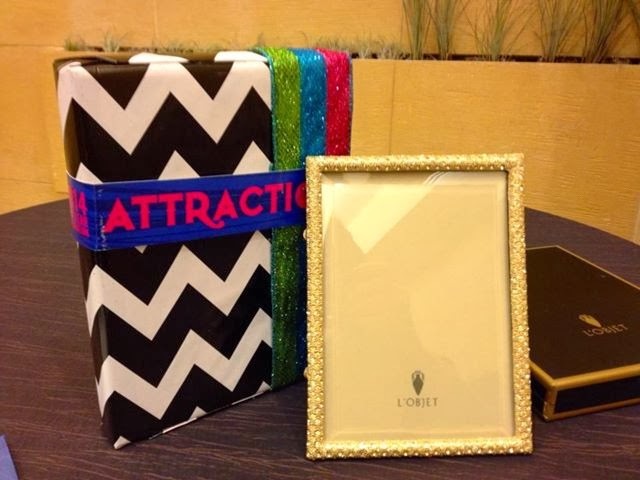 They had some light refreshments set up there and also gave Terri her welcome gift which was a glitzy photo frame! Our rooms were finally ready just in time for us to unpack and get ready for the big party! Unfortunately the key card they gave me earlier in the day didn't work so I had to call down to registration and then wait about 10 minutes for security to show up to let me into the room. The front desk clerk was nice and said he would send up new keys to my room. I waited another 20 minutes or so for my luggage but still no room keys so I called registration again where I was lucky enough to get the same clerk who apologized and said he would again send someone up with the keys and also give me a $50 resort credit. That was very nice of him and I finally received new room keys after another 15 minutes. Finally settled in and dressed for the party, Terri and I headed out to Pinyon Ballroom for the cocktail pre-party. 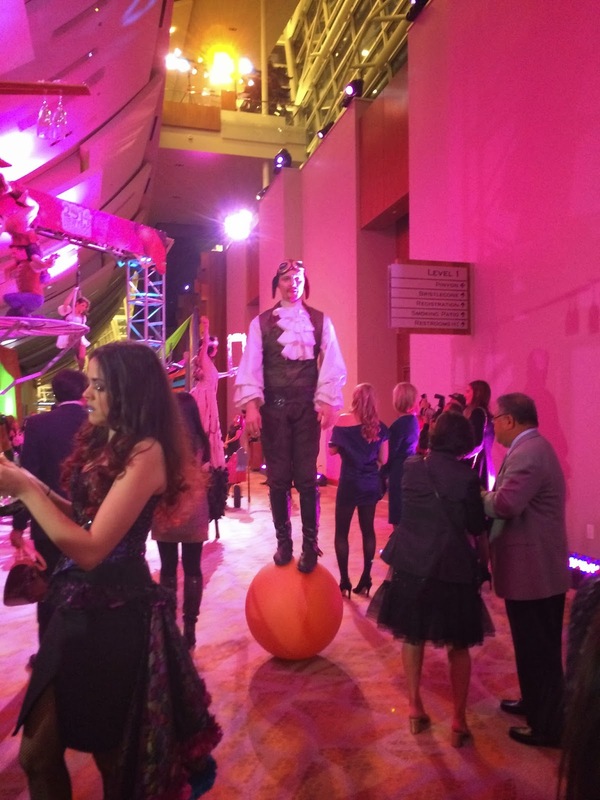 On our way to the Pinyon Ballroom there were performers in place along the way to direct and entertain! There were also various entertainers in the hallway between the ballroom for the photos and cocktails and the ballroom for dinner. I didn't really capture this well but the man on this gizmo was pouring out champagne. All the performers were friendly and I'm sorry I didn't get more photographs in the beginning but I was having so much fun I kept forgetting. I loved her drum dress and attitude! Terri and I weren't at the party for five minutes when we met up with one of our friends and my favorite person to go slotting with, Sdguy! Sdguy went to the Aria party last year and couldn't stop telling me for eleven months after it that I had to go this year, that it was the best party. 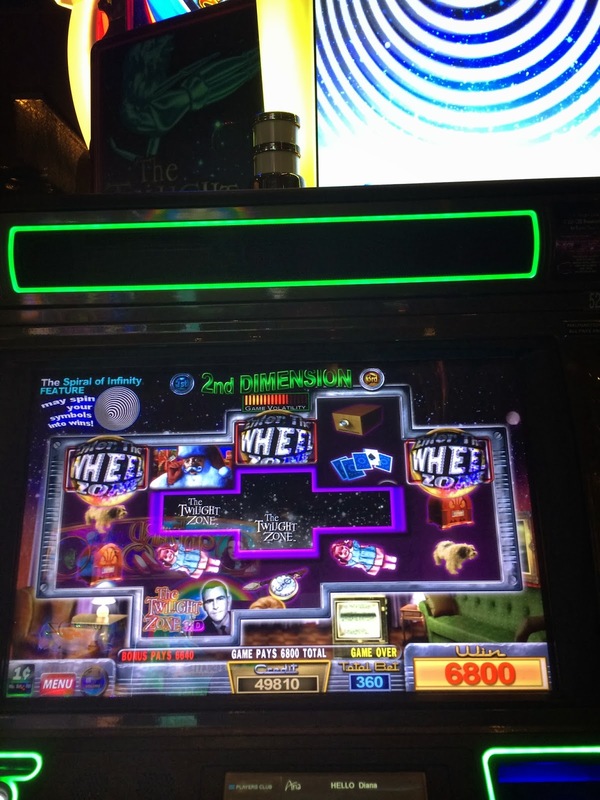 When my husband and I were with him in September at a Aria slot tournament he started working on Randy to convince him to come but at that time my dear husband wasn't buying it. After this party we are now believers, thanks Sdguy and even more importantly thank you Terri for inviting me to be your guest! Rex is such a fun person to be around, the great sense of humor is a given but he's truly a nice guy. During the four plus hours of the party Rex constantly was recognized by fans and he always graciously broke off from what he was doing and posed for the requested photos. Of course when Rex wasn't posing for photos with his fans, we were having photos taken of our own group at the photo booths and staging areas set up at the party. 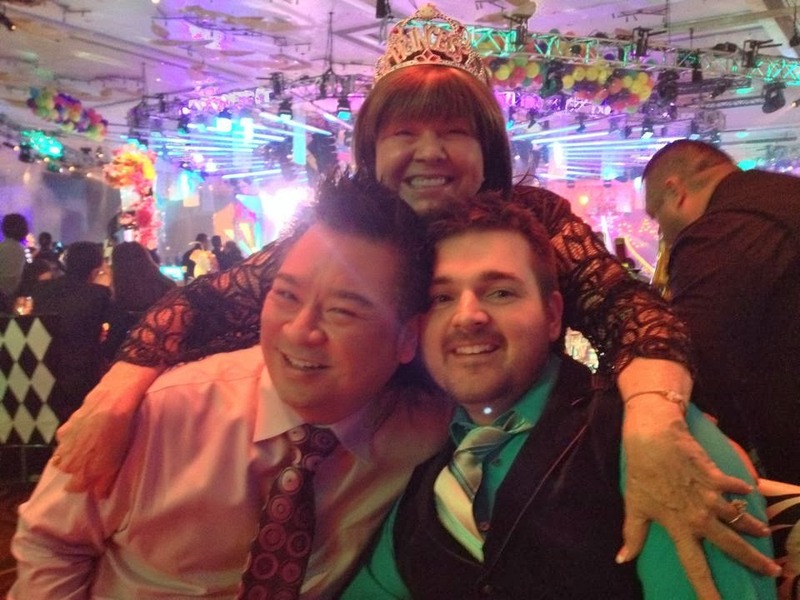 The photo above is a rare one because Terri let herself be photographed with us. Once we went into the ballroom where the main party was at, I was blown away with the acts on the main stage, back stage and mini stages set up in various spots around the tables. None of the dancers and singers were famous but they didn't need to be, they had talent and they kept the excitement going the whole evening for all of us. This was four hours of non-stop entertainment! The evening just flew by so quickly the energy level never flagging! Don't we make a cute trio? The Princess Tiara in my hair was a gift from Sdguy and I love it. I had a Miss Kitty on top and it got a lot of compliments from the other ladies at the party! 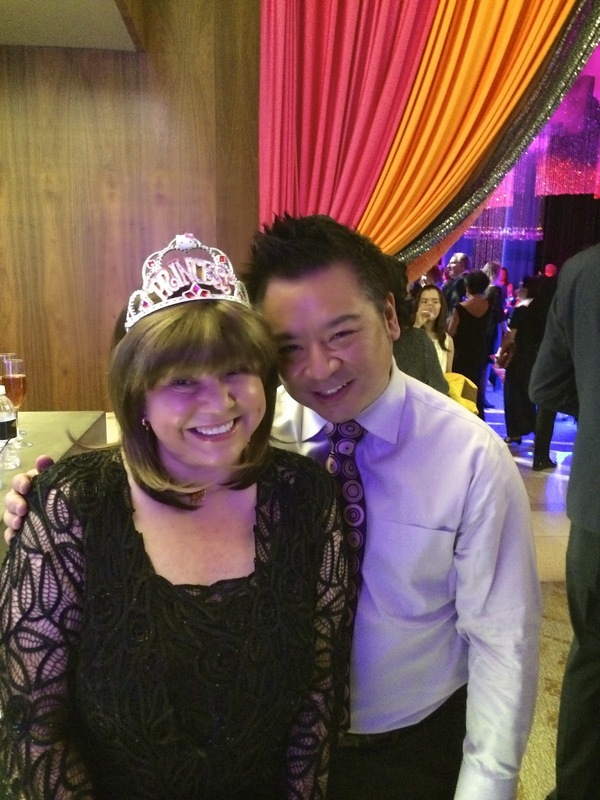 Sdguy also gifted Terri with the Tiara you will see in a couple photos. The menu for tonight was artfully presented in a cute holder. The opening act starter of butter lettuce, cucumber, radish, carrot, tomato with a citrus dressing. The real star of course was the Ahi Tuna, but since I don't like sushi I passed it along. I did love the Roasted Filet and King Crab with Black Truffle, Cauliflower Ravioli and Bordelaise Sauce! 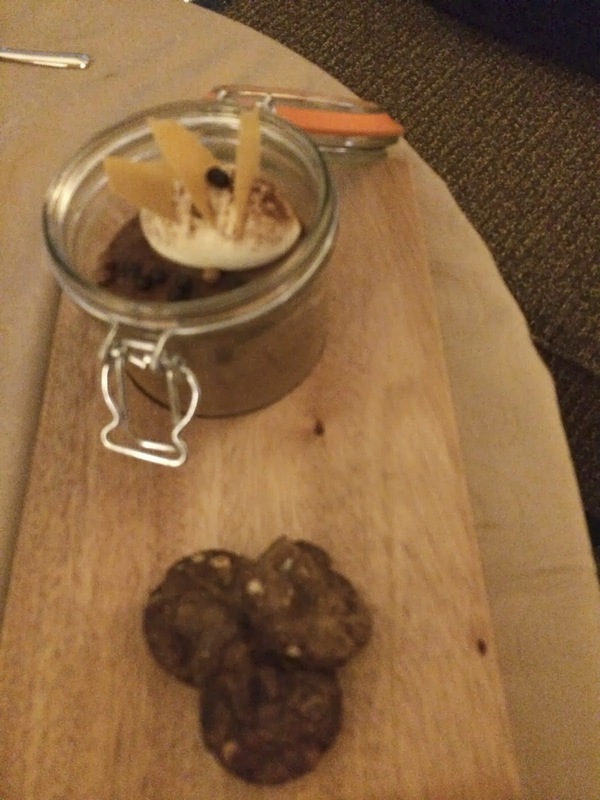 The desert presentation was pretty! Praline and Creme Frozen Sandwich, Almond Joy Eclair and a Berry Pomegranate Verrine. The reason Sdguy said I was a hot mess. ;) Bottles and bottles of Cristal! They also had other fine wines, and lots of specialty cocktails available. A bottle or so of Cristal later and I can't recall if I posed for this shot or photo bombed Rex and Sdguy! Outside of the main party they had makeup artists giving the guests butterfly eyelashes and other facial decorations. Terri got the cutest eyelash treatment! 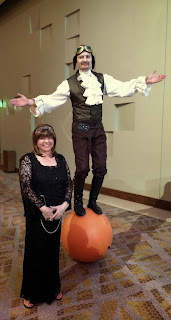 Photos of some of the side acts going on amidst the dinner tables. 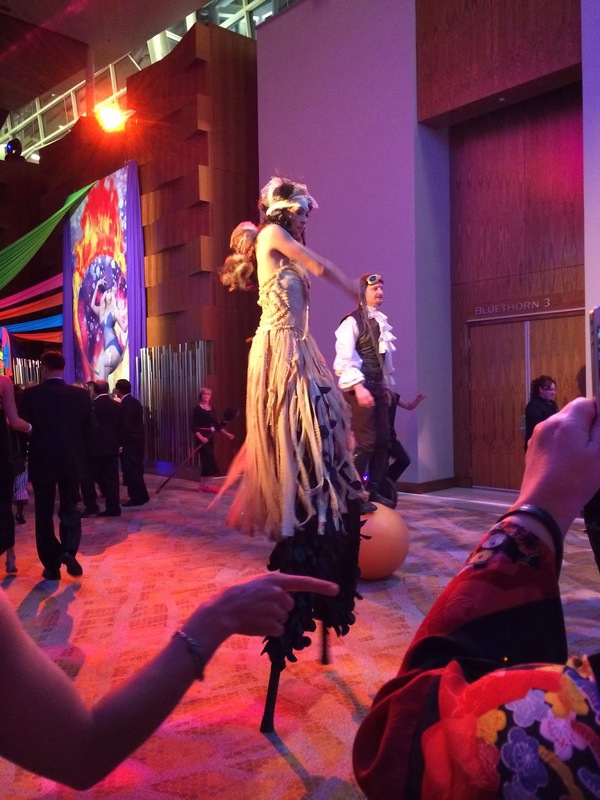 Short Video of Call Me Maybe at the party, courtesy of Sdguy! Random party scenes above and below. 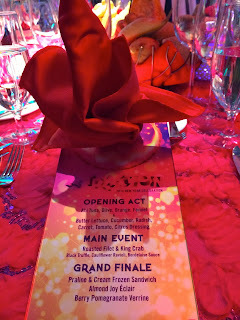 Dear readers if you get invited to one of the Aria New Years Eve parties, try your best to go, you won't be disappointed. Earlier in the day I was afraid I would be sad that I missed the fireworks and countdown out on the street with the crowds. No way! 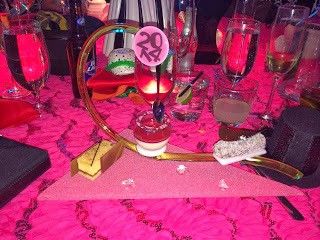 The countdown was electrifying at the party with plenty of glitter and balloons falling down on us. Bottom line? Best party I have been to so far! 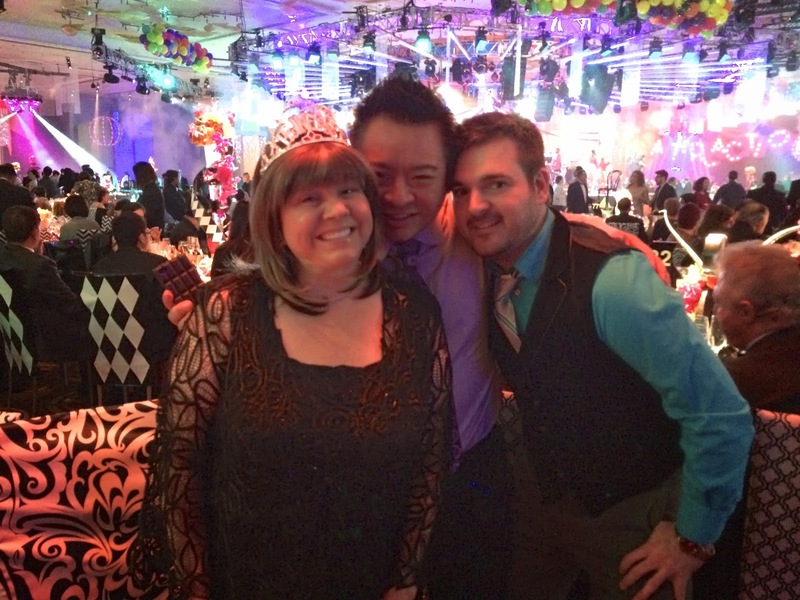 I would love to go to this New Year's Eve party at Aria every year if I can get a invite in the future. When I returned home and my husband saw the videos and photos he now wants to go to Vegas in the future for New Year's Eve, but only if we can somehow get invited to the Aria party! As mentioned previously, the ballroom where we originally had cocktails and appetizers had numerous photo set ups and they gave out one hardcopy of each group photo taken. They were also suppose to text additional copies of photos out to those who put their cell numbers in a machine for that purpose. Despite inputing our cell phone numbers none of us ever got the text with the photos, so sadly we are missing three of our photos that were taken. Fortunately I had a couple of the hard copies of the photos below as souvenirs! 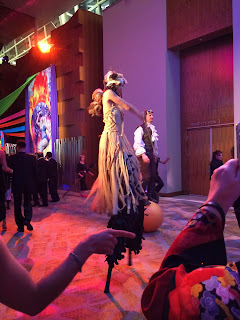 After we left the Aria party at around 1am, thanks to Rex we had another party to attend! Rex had a table waiting at the new restaurant, theatre and nightclub Rose.Rabbit.Lie at Cosmopolitan! Before we went to the nightclub we met up with Sdguy's Mom a sweet lady, and a few of Rex's and Sdguy's friends and then all of us were off to Rose. Rabbit. Lie! This looked like a fun nightclub and the crowd seemed very friendly, though this evening it was very warm in there. Unfortunately I lasted only about 15 minutes. Just as Rex was asking me what I wanted to drink and passing me a cocktail menu, I started to cough and couldn't stop. They had some smoke machines going in the nightclub which made it look cool but I had some sort of reaction and couldn't stop coughing and it was difficult to catch my breath so I had to leave. Terri being a good sport went with me and Sdguy walked us out to the entrance and gave me a cough drop which helped a bit until I got out of Cosmo. I was fine once we were in the fresh air walking toward Aria, but seriously I now know how some people must feel when they have a asthma attack and can't catch their breath. Once back at Aria I played a few slots and lost so since it was about 4am and I hadn't had much sleep the evening before I went back to the room to get some sleep. SDguy and Rex in the meantime are still going strong as I get a text at 5am asking me if I'm still up and want to go slotting with them. Drat, I'm getting old, I couldn't find the energy and had to just wish them both good luck and a see you both tomorrow. That text was the last thing I remember until I woke up around 10am. Next morning Terri and I were deciding where to eat when we recalled we were invited to the Juniper Ballroom that was showing the bowl games with food and drink most of the day, so we decided to check it out to see if it was worth eating and drinking at. It was and I headed straight for the make your own Bloody Mary's station. 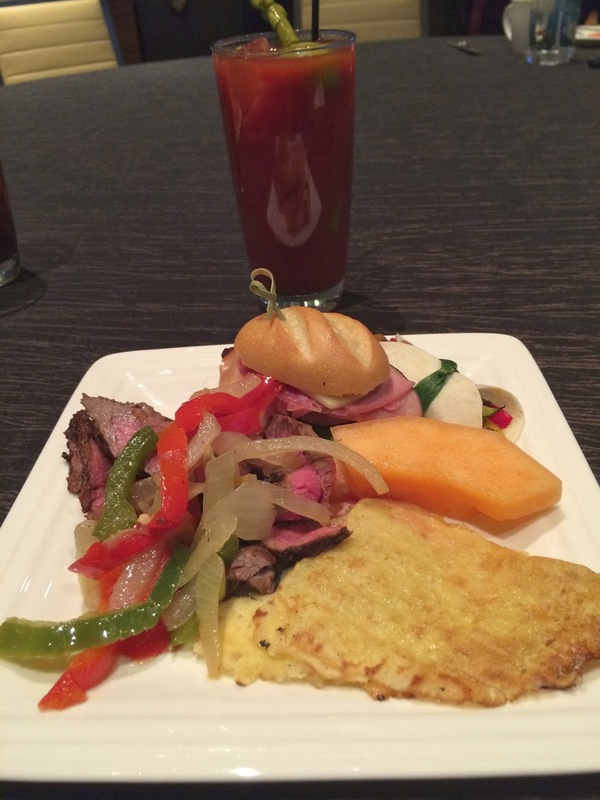 The open bars and food stations were similar to the set-ups that both Aria and Bellagio have for their slot tournaments, though perhaps a bit of a upgrade on the food. The carved beef filet to order was delicious and I also enjoyed the veggie wrap a lot. 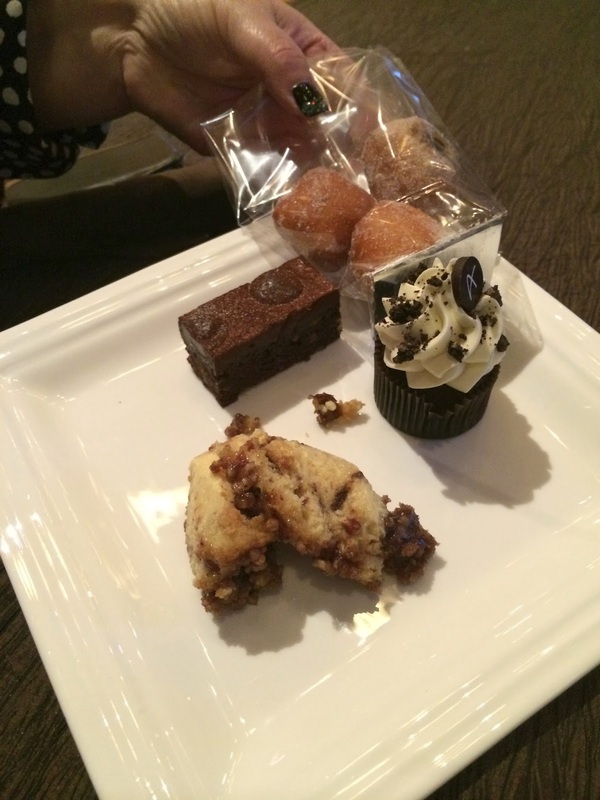 They had a wide assortment of desserts, something for everyone. The usual sliders and fingers foods were available. 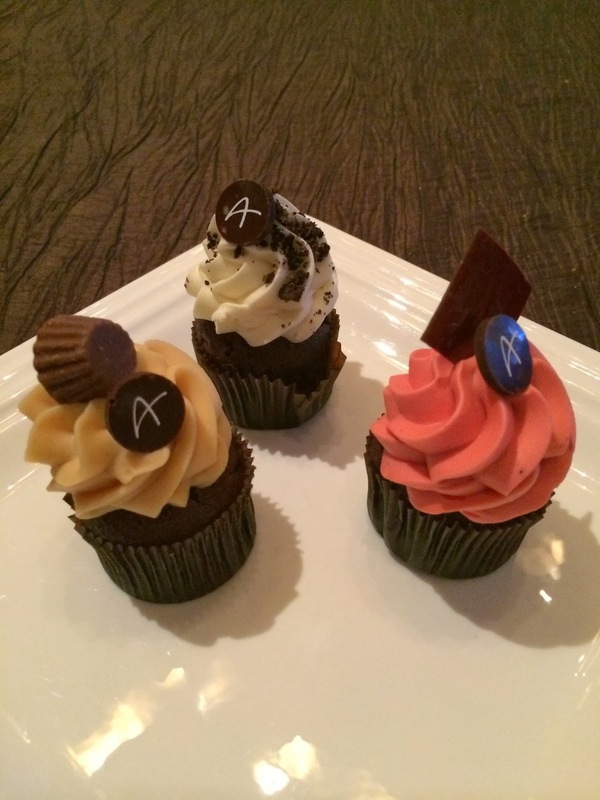 A few desserts that Terri and I tried. The cupcakes were pretty and tasty. After we ate Terri and I got our gamble on but for the most part I lost and I believe she did too. Normally I don't play Super Hoot Loot but I did hit a bonus on this quarter version. So many of my friends love Buffalo but I seldom have much luck on it. This was my best hit for the trip. Terri and I had dinner plans tonight with friends, Gwen, Jen, Liz and Teresa, who were also in Vegas for New Year's Eve, but had attended Wynn's NYE party at Lakeside Grill. We headed out in Terri's car to Wynn but halfway there Terri needed to run a errand off strip so she let me out around P-Ho where I caught a cab to Venetian. 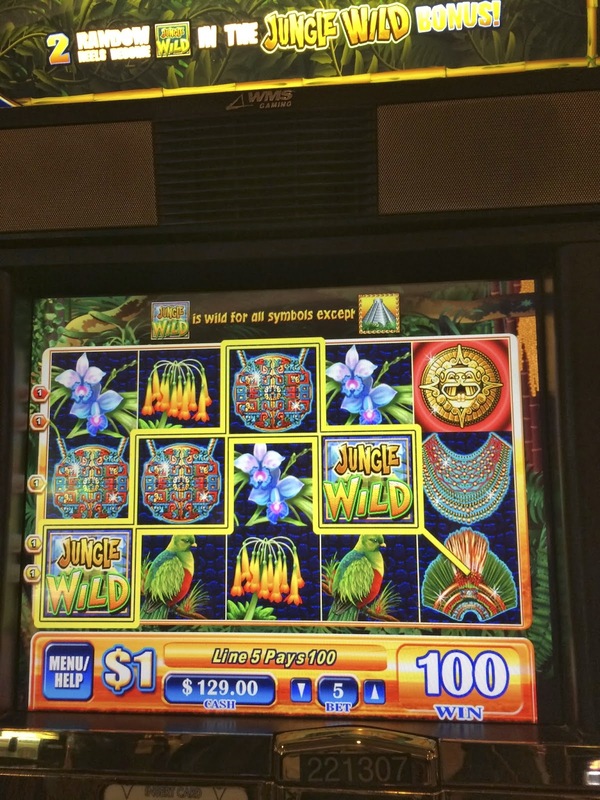 I couldn't resist the lure of some of my lucky slots from my Christmas trip, like Jungle Wild and Quick Hits, which I felt were calling my name. 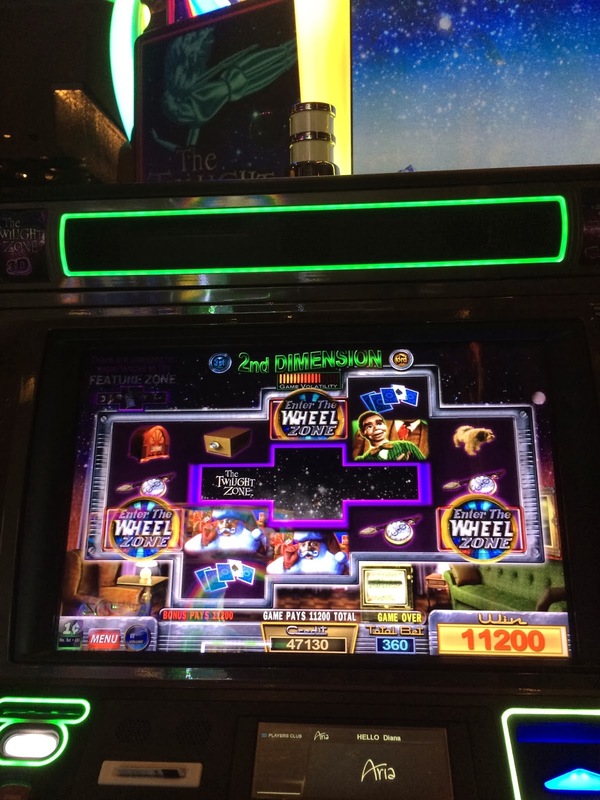 It turns out that they weren't calling my name just my bankroll and despite the $100 hit on Jungle Wild I ended up losing a few hundred at Venetian and Palazzo. I should have gone directly to Wynn! 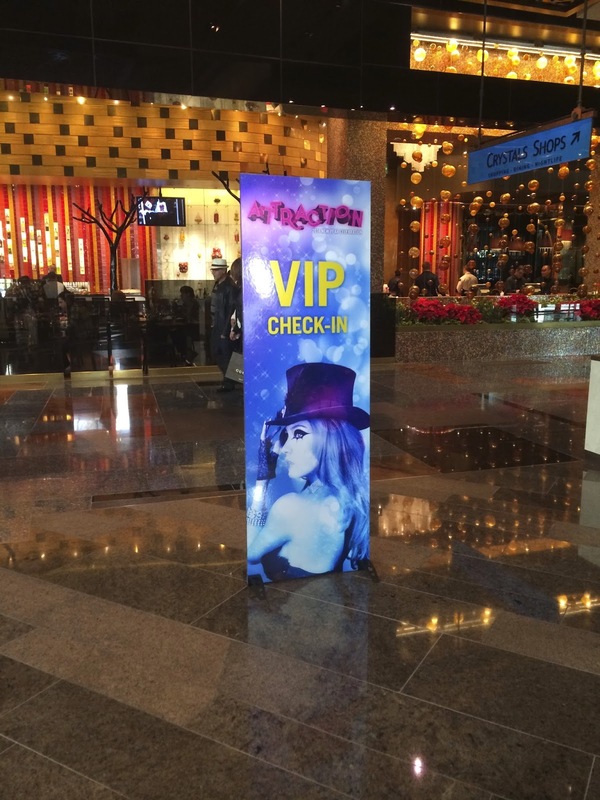 Once at Wynn I immediately located Jen and Gwen. Poor Gwen had broken her foot over Christmas while visiting with her family and was using a scooter in Vegas. The scooter was fun, though I understand Gwen had a interesting time of it when the battery ran out one day while she was downstairs in the casino. The ladies with our favorite Wynn host Edward at one of our favorite restaurants, La Cave! I have now featured Terri in three photos. I am doomed, seriously in trouble, you have no idea! 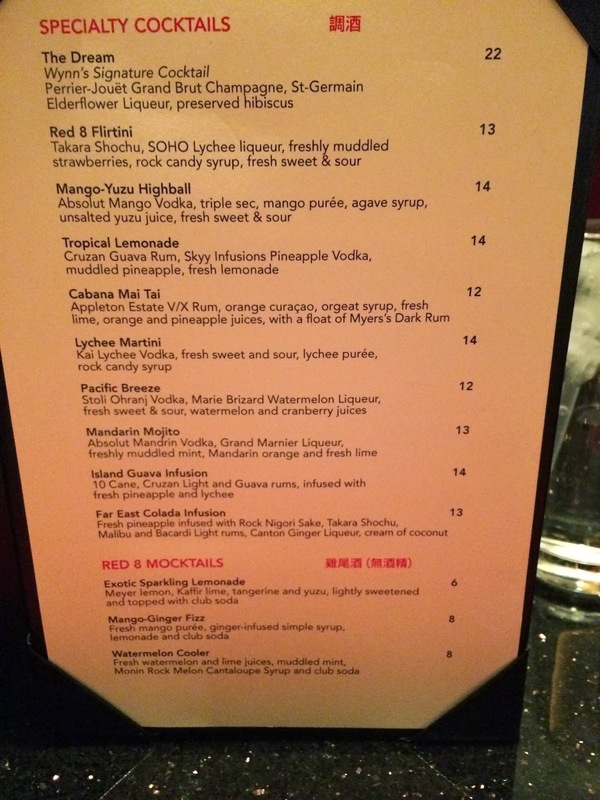 I like spicy drinks, I have my favorite at Tao, the Phuket and at La Cave it's... darn it, I can't remember the name! 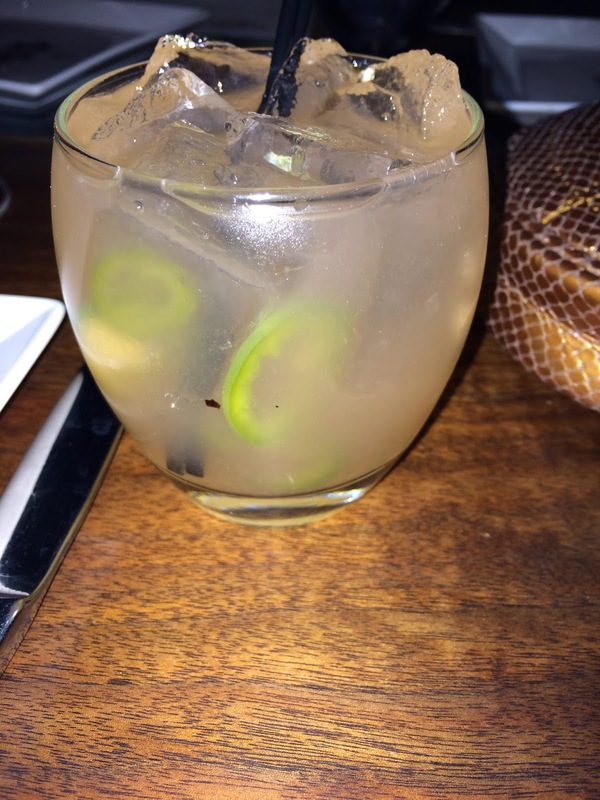 I'm going to La Cave in April, I'll get the name then, but in the meantime it's the only drink on their menu with jalapeños in it! Liz and I both enjoyed the Jumbo Lump Crab lettuce cups that we shared. The Three Bean Salad with Roasted Artichokes is one of Gwen's favorites she orders it every visit. Somehow we always end up with 2 orders of Bacon Wrap Dates, they are that good! Normally I don't eat pasta but this pesto pasta dish with peas was so delish I had two servings! The Diver Sea Scallops on Polenta with shrimp sauce is always good. We order it every visit. We love La Cave's flatbread and tonight we tried one I haven't had previously. Beef Filet, Caramelized Onions, Mushrooms, and Blue Cheese, it was great! Our favorite that we order ever time we're at La Cave is Chicken Thai Flatbread! We also like the Artichoke, Roasted Pepper Flatbread with Olives! I want to say this is the sunny side organic egg with the Jamon Serrano with Asparagus but since I didn't eat it I'm not sure. It's not dinner at La Cave without Jen's beloved cheese! For dessert our choice will always be the S'mores Flatbread! 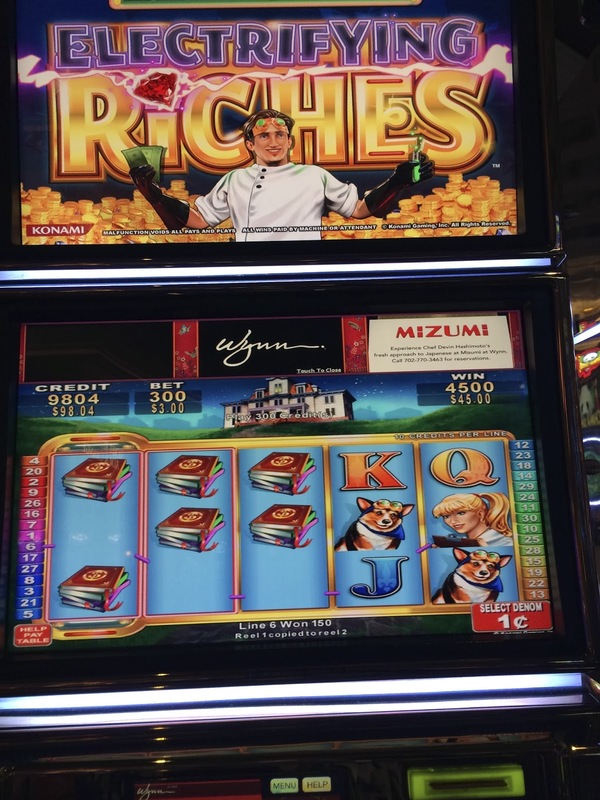 After dinner I stayed at Wynn and played some Quick Hits with my friends and surprised myself by winning! 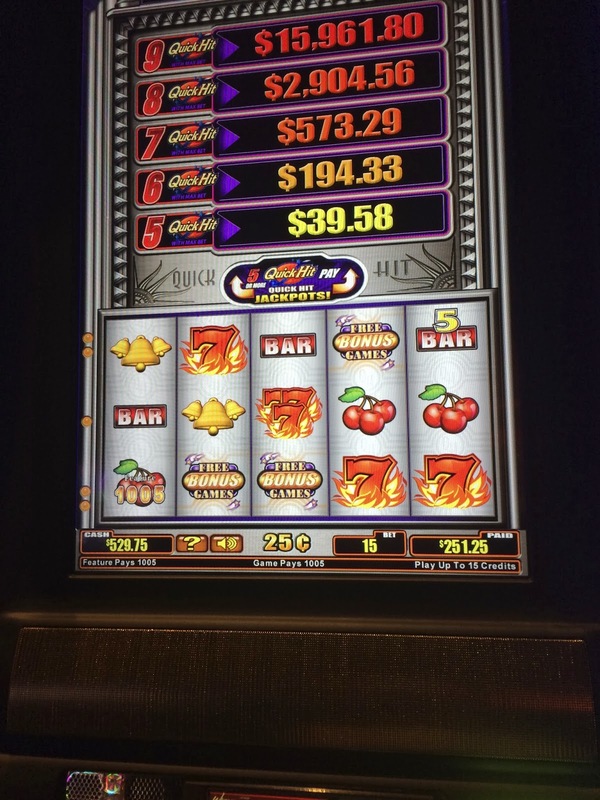 My quarter Quick Hit slot wasn't hitting jackpots but I was getting the bonus so quickly that I was slowly working my way up to winning a few hundred dollars! Once my Quick Hit bonuses dried up we said goodnight to our friends, took my winnings and Terri drove us back to Aria. Once back at Aria it was about time for the high limit pull that Terri, myself, Sdguy and Rex planned on doing. 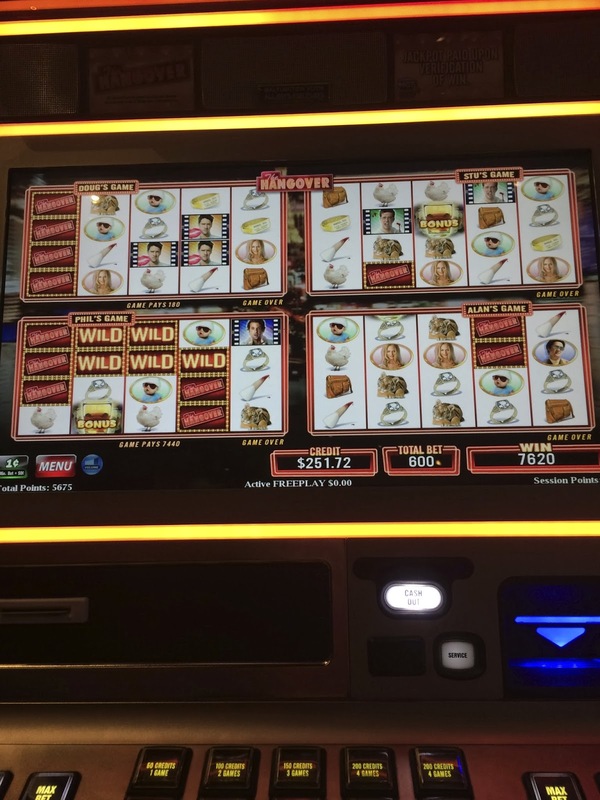 However Terri wasn't feeling good and went to bed shortly after we were back at Aria and while Sdguy joined me at the slots Rex was still having dinner with a friend. As Sdguy and I were having fun playing the slots we met up with Nick and Russ who decided to join us in our high limit pull. Nick is a fan of watching Sdguy's videos on youtube and sometimes mine too. 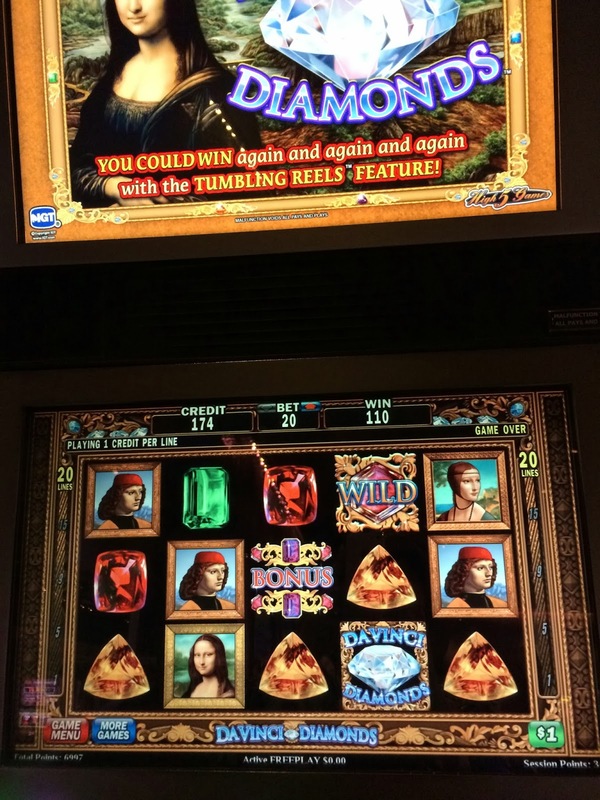 ;) After playing Hangover, Return of the King and a few other slots I sat down next to Russ who was playing Triple Trouble and hit a bonus! I had a lot of fun with the Triple Trouble bonus, perhaps too much as I drew a crowd behind me before the bonus ended! After I hit this bonus Russ hit one that paid off even more or perhaps equal since he was betting $5 a spin instead of my $3.00. Rex arrived shortly after our luck on Triple Trouble and took this photo of Sdguy, Nick, myself and Russ. It was time for our High Limit Pull. 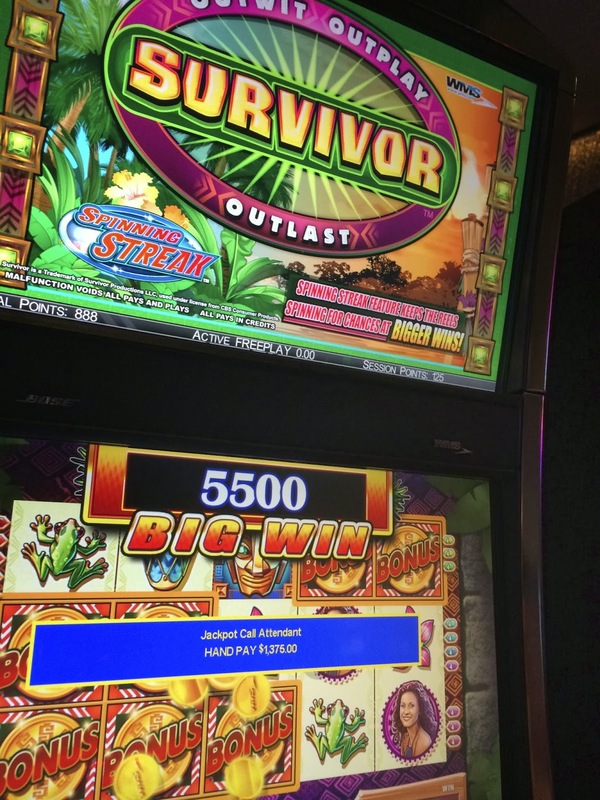 Our rules were that each of us put $500 in our favorite slot and played it until we doubled our money or lost it. If we doubled it, that ticket was saved until the end of the pull. 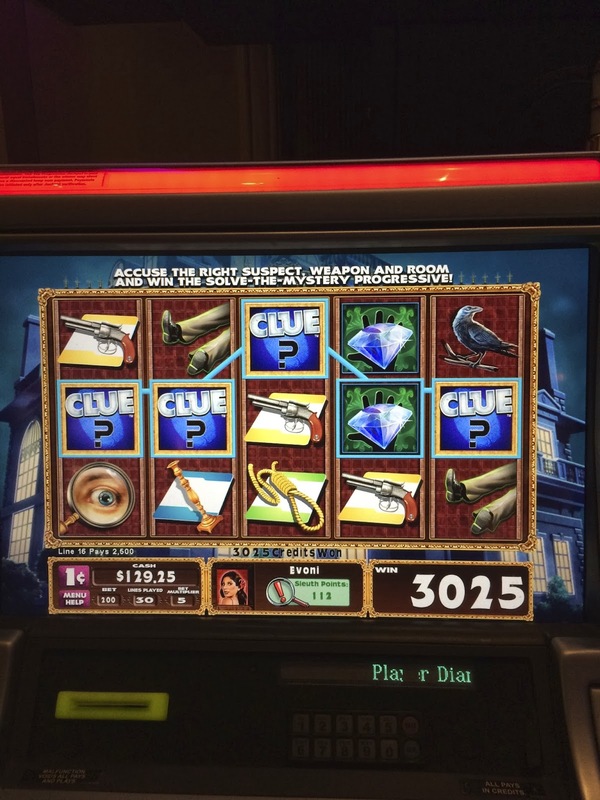 Russ and Nick were playing as a couple so we were playing four slots for a total of $2,000. At the end of the pull if there were any winnings we would split it up into four equal parts. Rex decided to play Colossal Wizards for his slot. We lost on this one, however here's Sdguy's video of our play if you are curious. 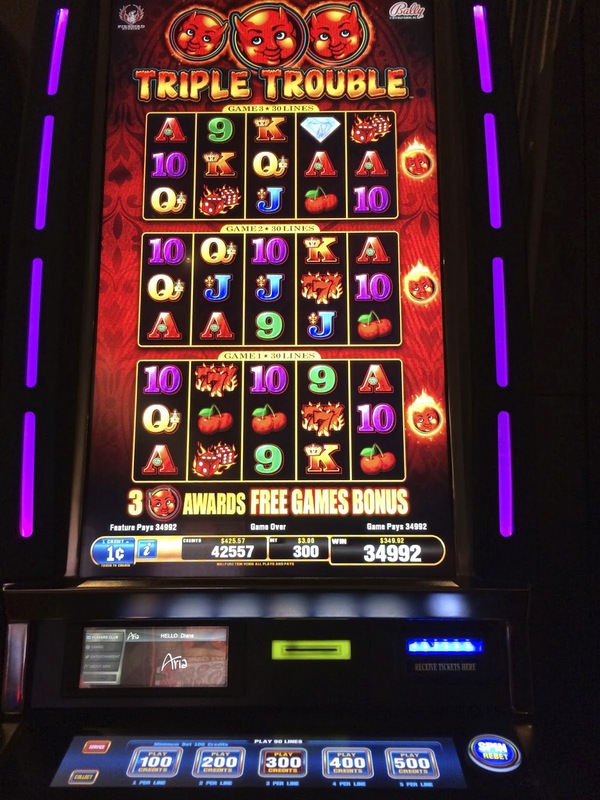 Warning: the slot bonuses of the HL Pull are rated R for language. Next up was Sdguy's choice, Survivor! 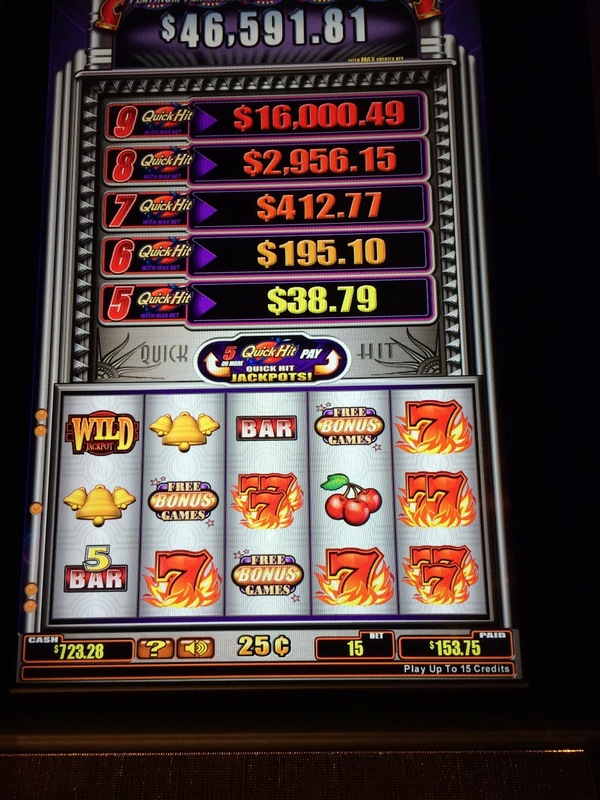 We got the bonus, we won a hand pay of $1375.00 and cashed out with $1850.00! Rex and I had mad picking skills! Somehow Russ missed being in our winning photo op, I think he was off buying a drink to celebrate! 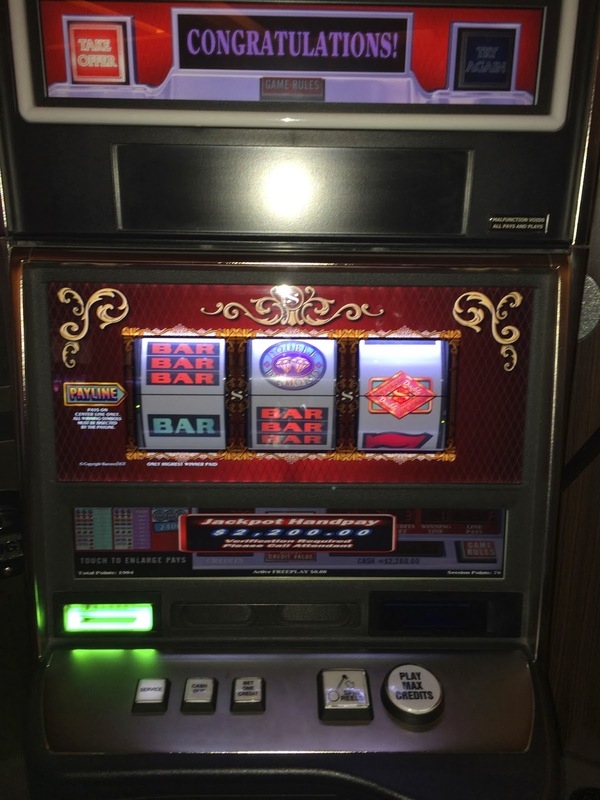 Our third slot for the High Limit Pull was my choice. 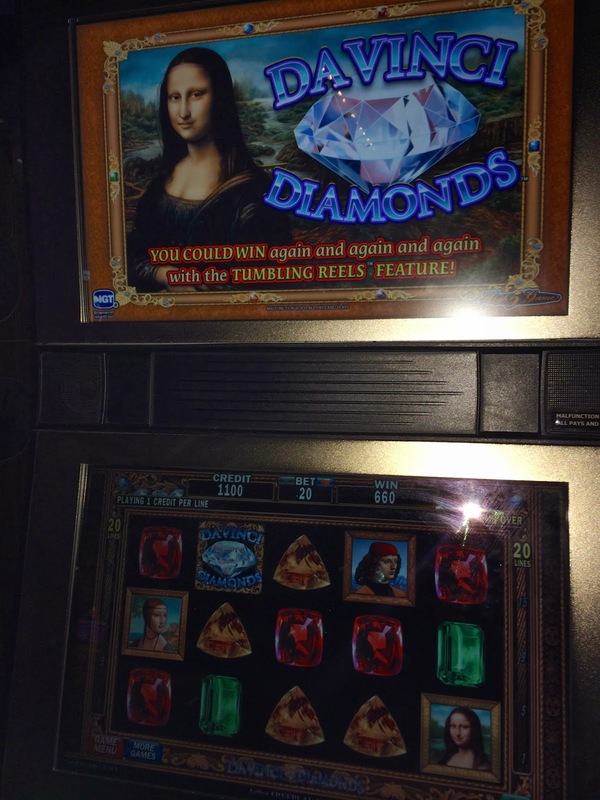 Of course it was my favorite $1 Davinci Diamonds! 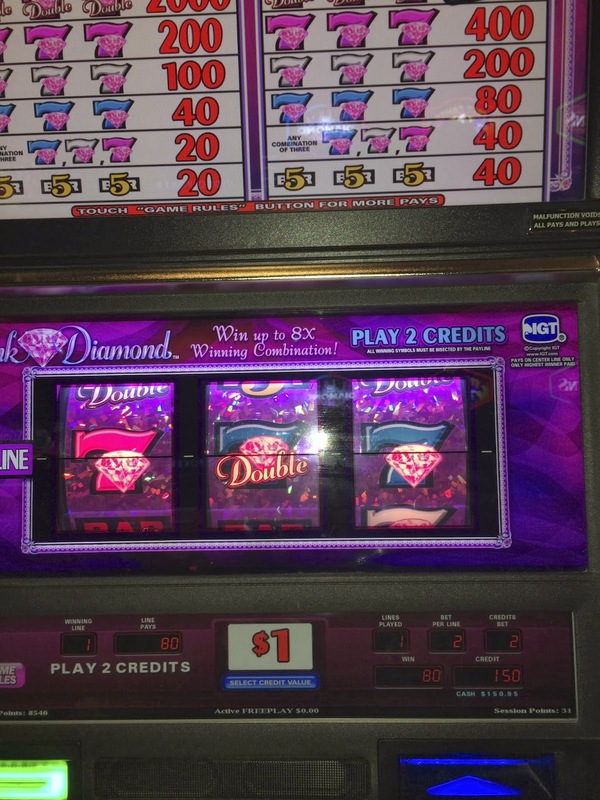 No hand pay on $1 DaVinci Diamonds but a fun bonus and we cashed out at $1100.00! 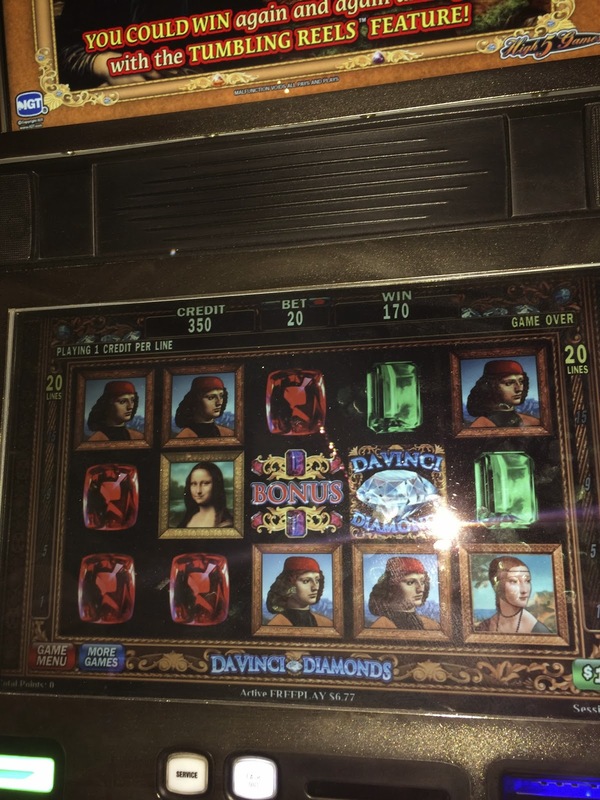 Video of our Davinci Diamonds Bonus! Our last slot of the High Limit Pull was Russ's choice. Russ is a CET Seven Stars player and previous to this trip he dreamed he had hit a big jackpot on the Triple Stars Slot so he went with it. Good choice Russ! 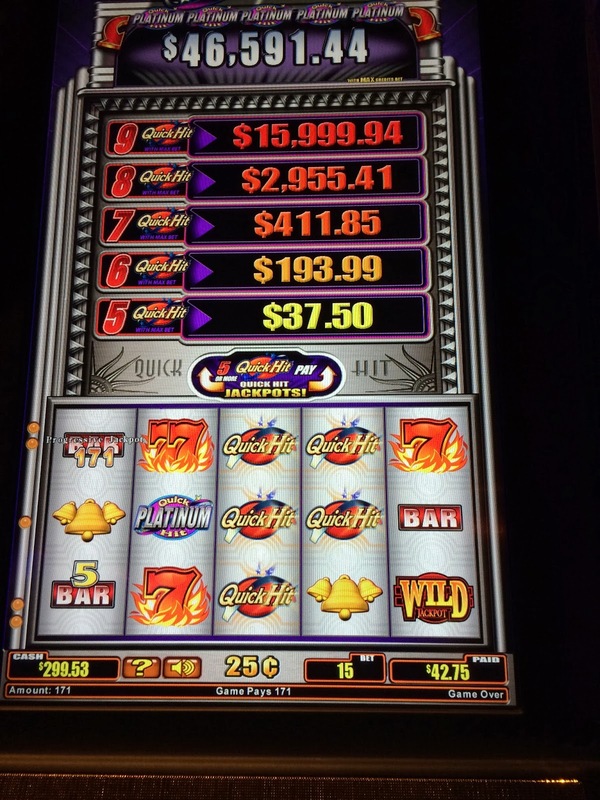 The big win of the evening, $4800.00 was on Triple Stars! Russ hit this hand pay after only a few spins. It was time to celebrate with some drinks and split up our winnings, what a fun HL Pull! After our HL pull Nick and Russ headed back to their hotel and Sdguy, Rex and I headed out to Bellagio to do a three way, gamble that is! 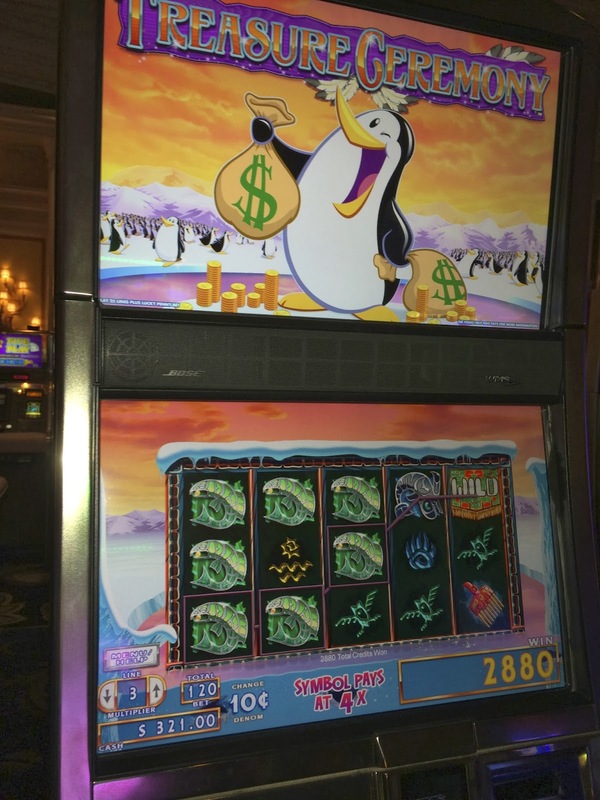 We had so much fun tonight pooling our money and playing slots together that I forgot to take any photos with the exception of a couple wins on ten cent Treasure Ceremony. We played for hours on a variety of slots and it was really nice because being the day after NYE the Bellagio casino was fairly empty. After playing for hours we went to the Bellagio Conservatory so I could take some photos without crowds in my way. On our way out we decided to skip down the center section which was when I discovered I had forgotten how to skip. That's what happens when you haven't had enough sleep. That's my story and I'm sticking to it! Once back at Aria we played one last slot Winning Bid before I left Rex and Sdguy still playing slots while I went to get some sleep. I was sad to leave as Sdguy was leaving to go back home in the morning but I know I'll see him again in Vegas this year and with any luck Rex too! I only had a few hours sleep and it was 10:30am and time for me to get up and dressed so Terri and I could walk to Bellagio to meet up with our friend Alaska (Doris) from the Blonde4ever and Slot Fanatic's message boards. It had been a couple years since we had met up with Doris so I was glad our trip dates coincided once again and we could catch up with each other. 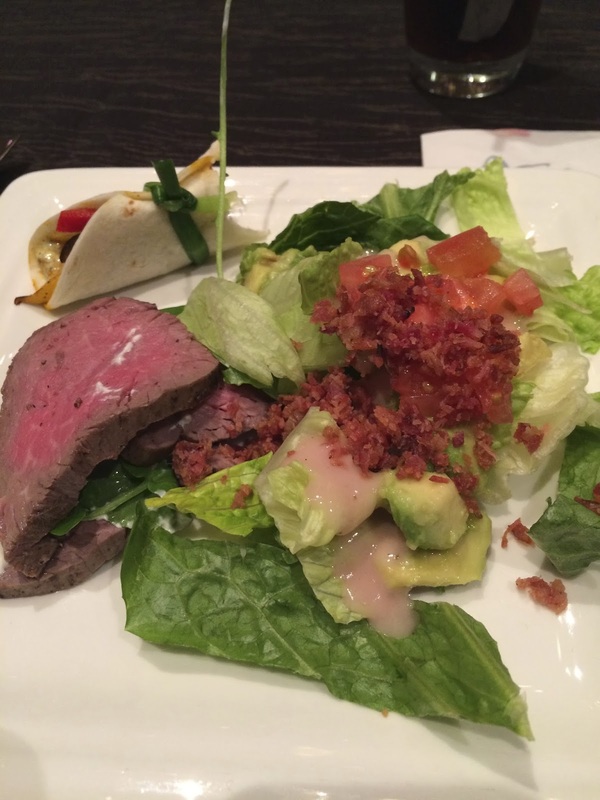 We were eating lunch together at the Bellagio Buffet and using myvegas promotions. When the three of us arrived at the Bellagio buffet it had a line of what looked like a hundred or more people waiting to pay and get in, so we were glad to be Platinum with M-Life and wait in the smaller line of about 10 people. 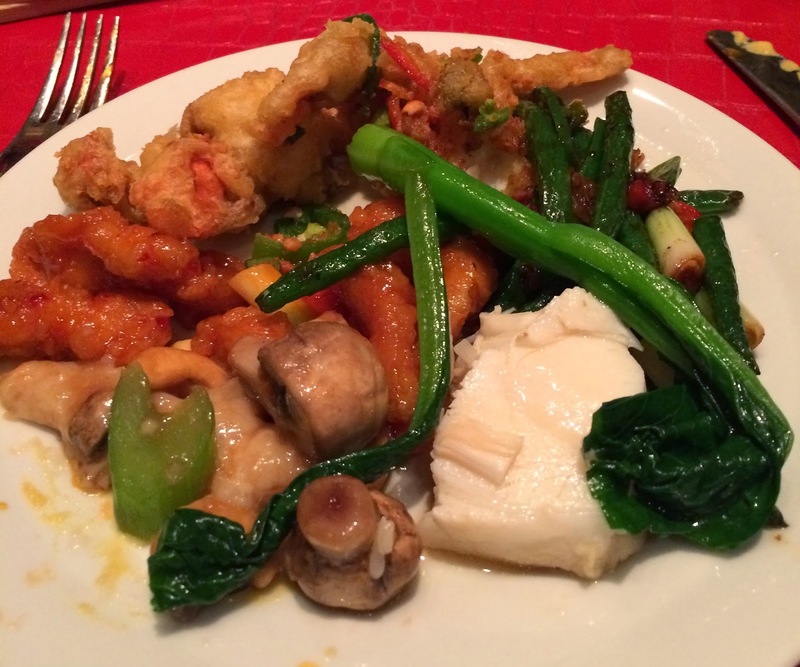 I've had recent photos of the Bellagio buffet in the blog so didn't bother to take more since it hasn't changed. I'll just throw in a photo of desserts, because they were very good this afternoon. After lunch we went our separate ways. Terri was checking out of Aria to return home, though she would be at dinner tonight, and I wanted to try my luck on Clue and Phantom of the Opera at Bellagio. I didn't have much luck so returned fairly quickly to Aria. 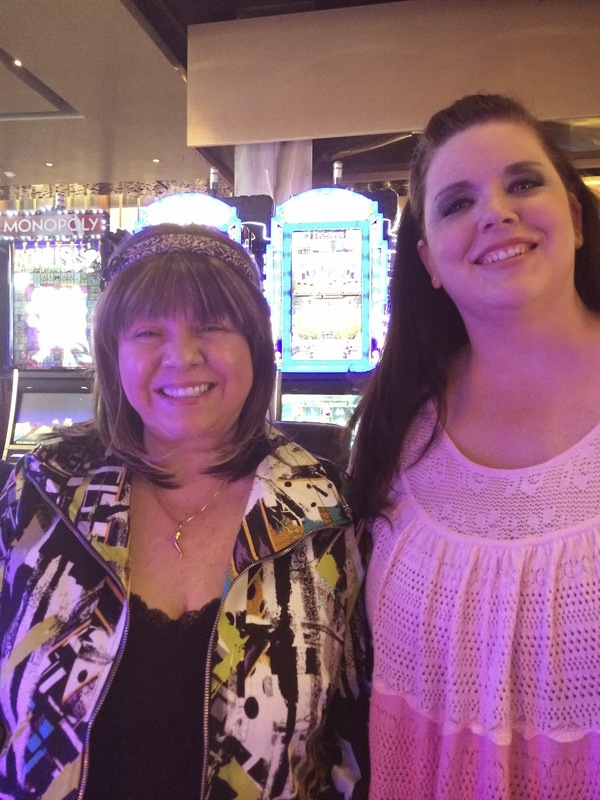 When I returned to Aria I had a text from Tami, (TopazBlue) a friend of mine from Twitter that she was at Aria playing slots with her Mom so I had the pleasure of meeting her in person. 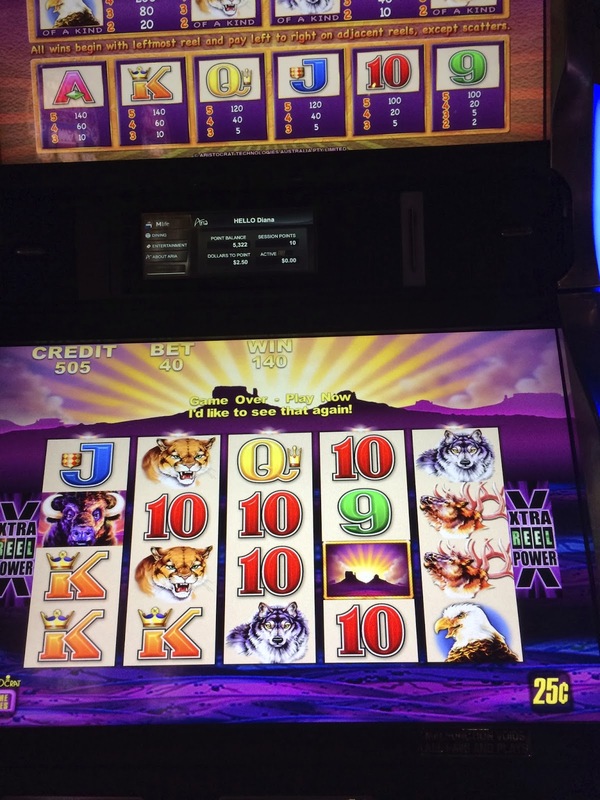 Her Mom was on a hot streak with a Wonder Four slot so we left her to it while we went and played Twilight Zone together. A video of a couple bonuses of Twilight Zone when I was playing with Topaz Blue! 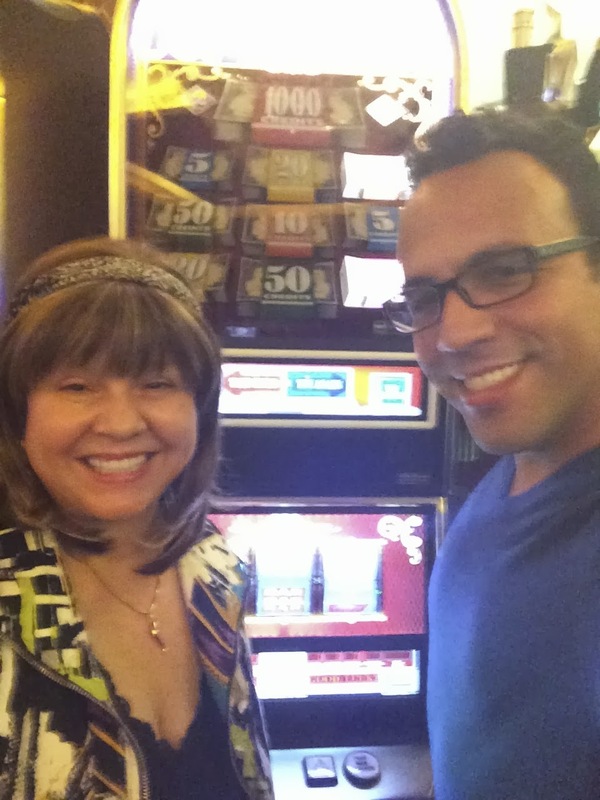 We both had quite a few bonuses on our Twilight Zone slots and though my slot was more active with the bonuses we had a good time together. 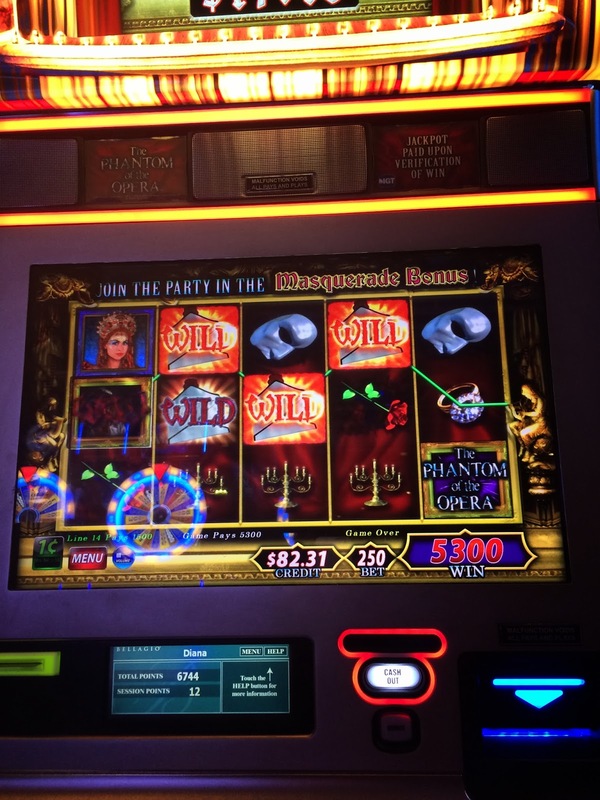 We also tried a bit of the new Mummy slot machine but with minimal luck. When we returned to Tami's Mom she was on the same slot and still winning, but took a break to take a photo of us! 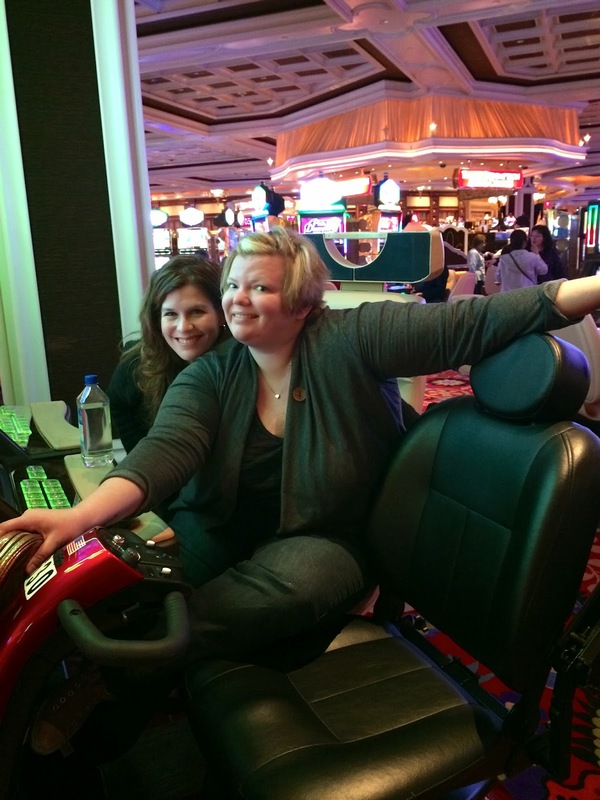 After having a fun time playing slots with Tami it was time for me to catch a taxi to Wynn for dinner. 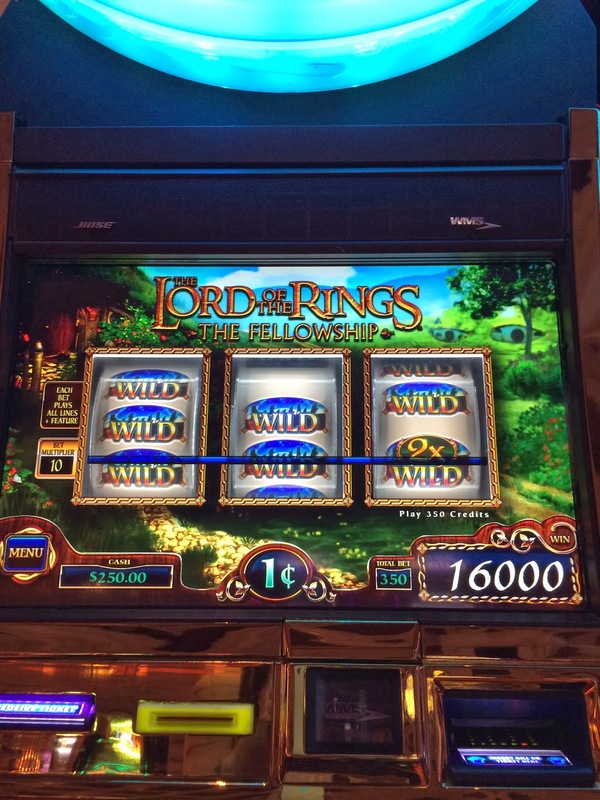 Before our dinner I had time to try $1 Davinci Diamonds at Wynn but it wasn't too active so I decided to play the penny Lord of the Rings and was really happy when I hit a bunch of Wilds for $160.00! Was it possible I was going to win at Wynn two days in a row? 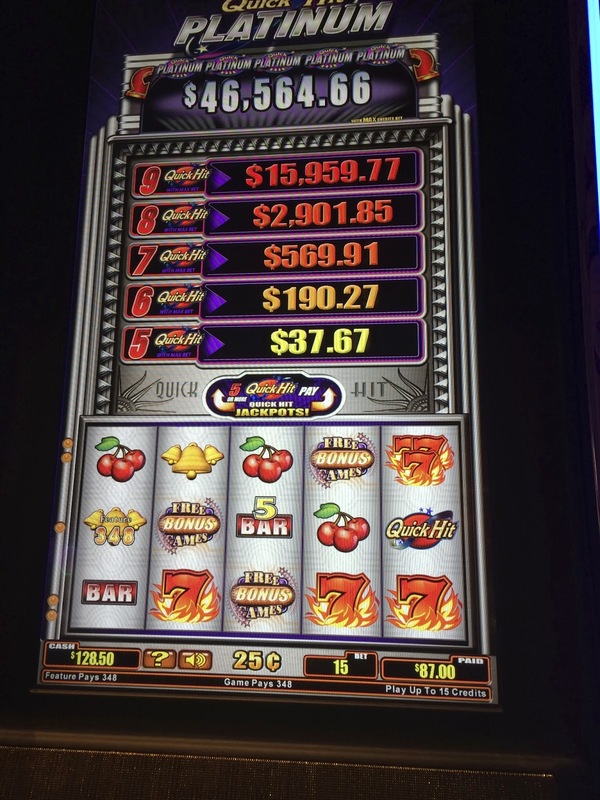 I decided to return to the same quarter Quick Hits slot that had been so nice to me the previous evening. Surprise! 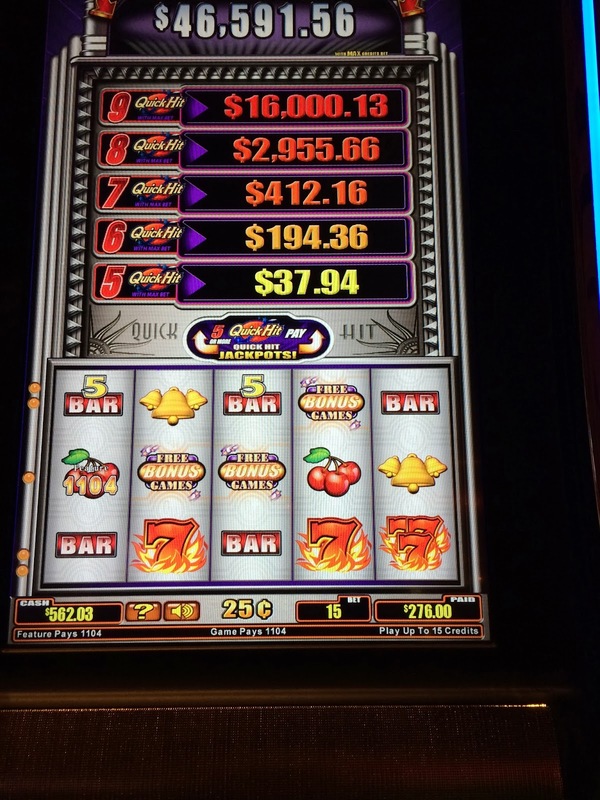 It was still hitting bonuses and before the slot went cold I was up about $500.00! It was time to meet the ladies (Jen, Gwen, Terri, Liz and Teresa) and Edward for dinner at Red 8! This was my first time at this Wynn restaurant but I'm sure it won't be the last. My Red 8 Flirtini can flirt with me anytime, it's one tasty cocktail! I started with a little bit of everything, it was all good! Why do I have so much on my plate, because Edward ordered so many different plates of deliciousness! Love the crab above with rock salt and jalapeno peppers! Below is the sautéed green beens in XO sauce, yum! I'm not sure what this entree was, so it's once again time to guess that dish! The Chilean Sea Bass was yummy though not quite as good as my favorite miso glazed sea bass at Tao. Beef, mushrooms and broccoli never tasted so good! 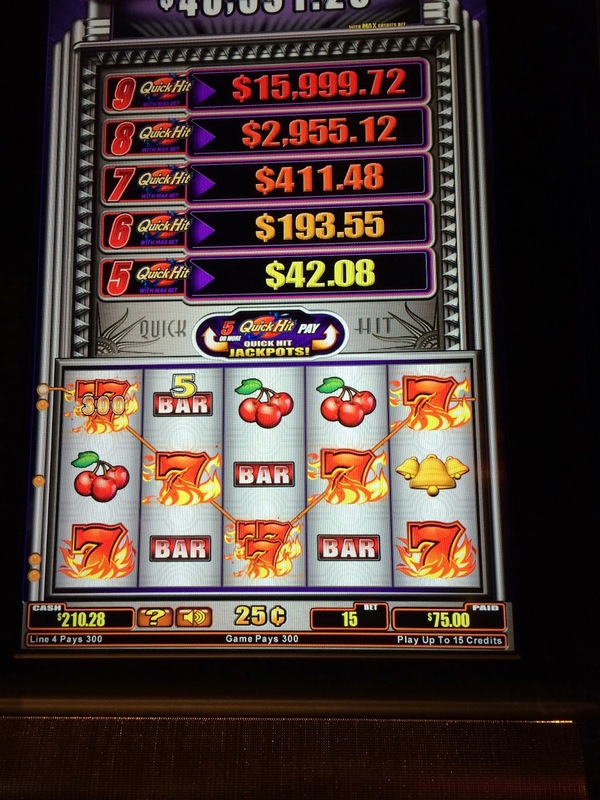 After dinner I played slots briefly with Gwen, Teresa, Jen, Terri and Liz but quarter Quick Hits no longer wanted to bonus and since one of my best hits was the $45.00 on Electrifying Riches below I decided it was time to return to Aria while I could leave Wynn a winner. 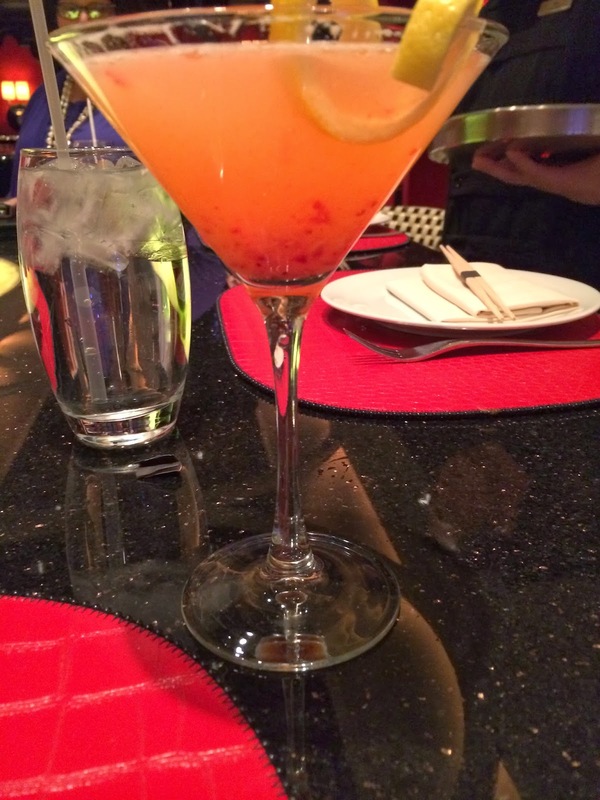 While I was at dinner my friend Jason had been texting me and we had made plans to meet for a drink at Aria when I returned. 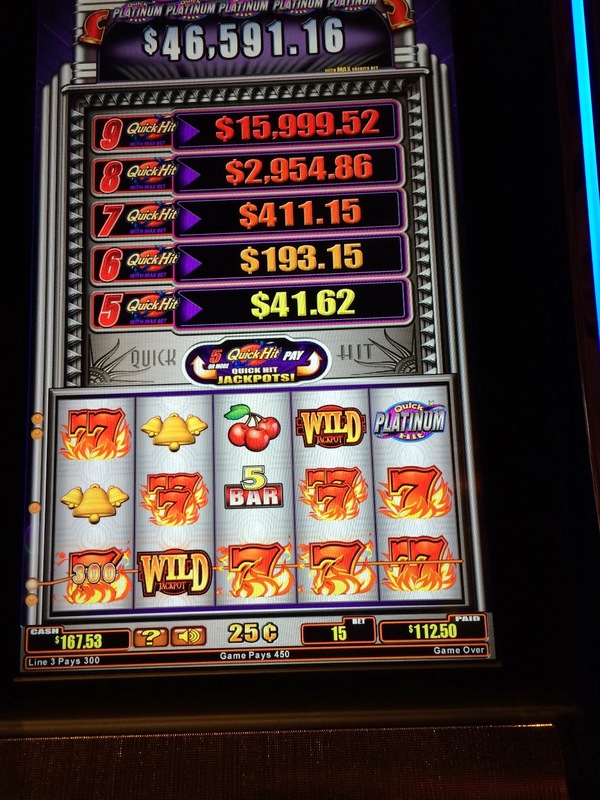 As I was leaving Wynn he sends me a photo where he hit a $11000.00 jackpot at Cosmopolitan playing video poker! Jason said he was inspired to play by Gwen's photos of her wins this year on VP. 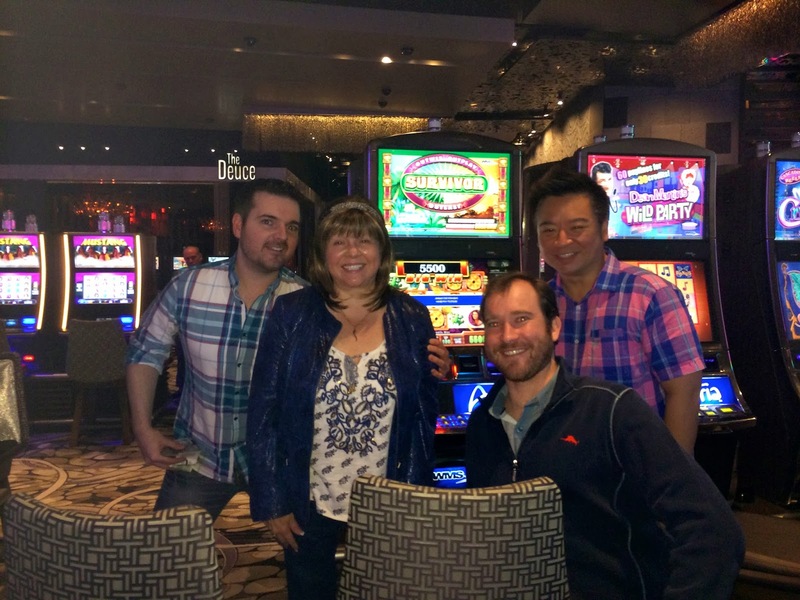 Shortly after I returned to Aria and after losing some money on a few slots it was time to meet Jason and Chris at the Lobby Bar! 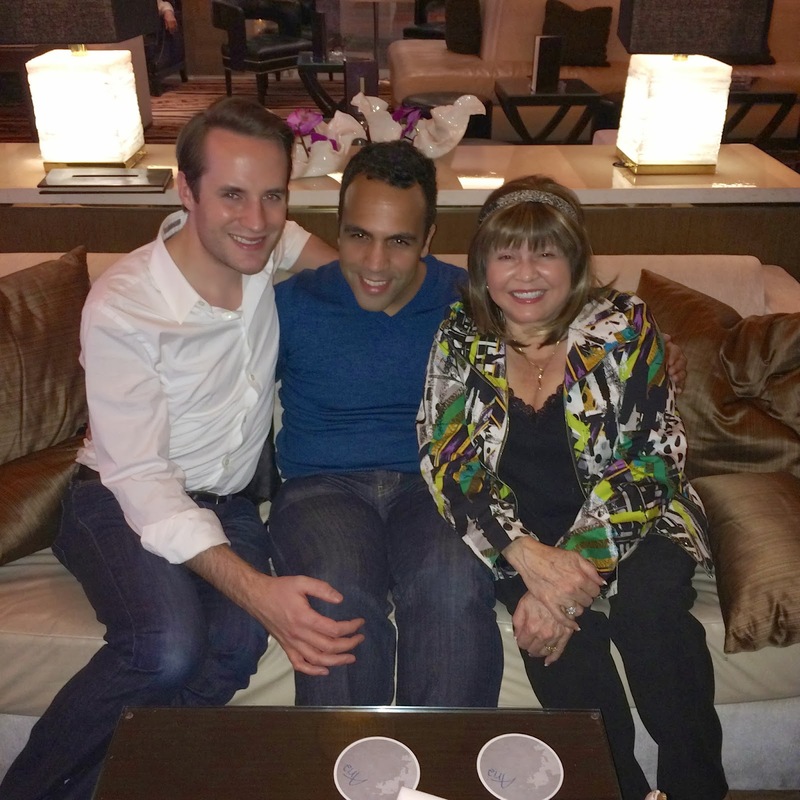 Jason bought us drinks and we celebrated his big win, while we had a great time catching up. After drinks Jason and I decided to do combine some money and do our own high limit pull. Okay so I thought he was on a lucky streak and wanted to borrow some luck! It worked when we hit the Top Dollar symbol for a hand pay of $2200.00! 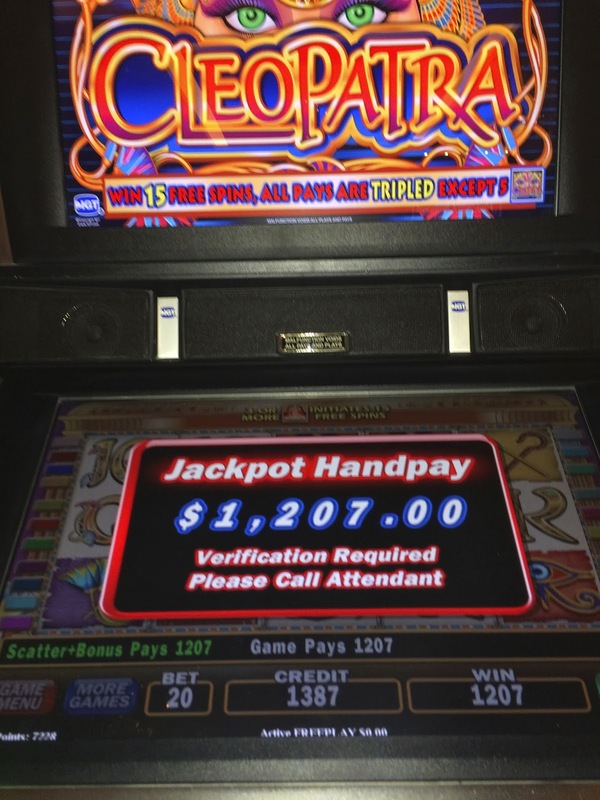 We took our winnings and decided to play Cleopatra and hit the bonus on our first spin for a hand pay of $1,207.00! 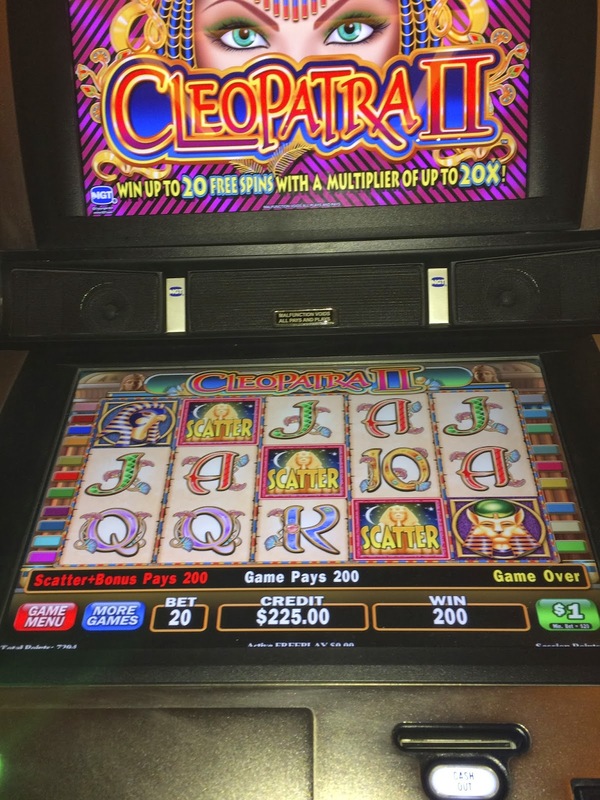 After our hand pay on Cleopatra we tried Cleo II next to it and hit a bonus really quick but it didn't pay much. 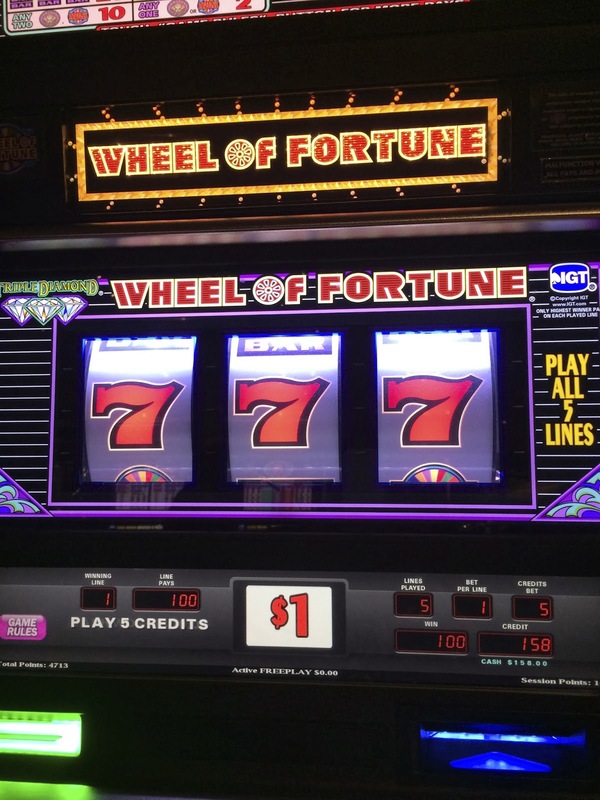 Despite that we were still feeling lucky so we decided to play $25.00 Wheel of Fortune. 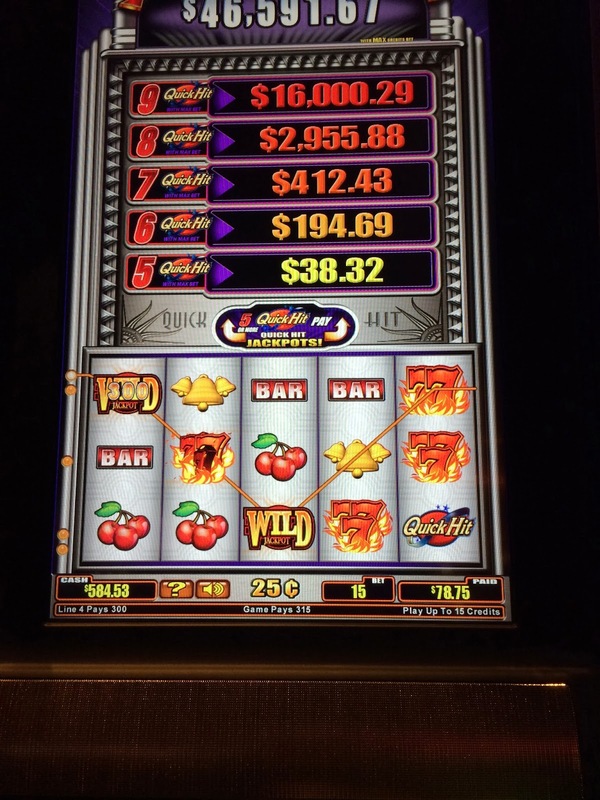 Jason and I put a bit more money into this slot then we originally intended trying to get a spin but it never hit. The only win we had for playing hundreds of dollars on WOF was on Chris's push for 10 credits. After our fail with getting a spin on $25 Wheel of Fortune it was late and time for Chris and Jason to return to Cosmopolitan, but I'll see them again in April if not sooner. Jason and I have been hatching lots of plans on Facebook. 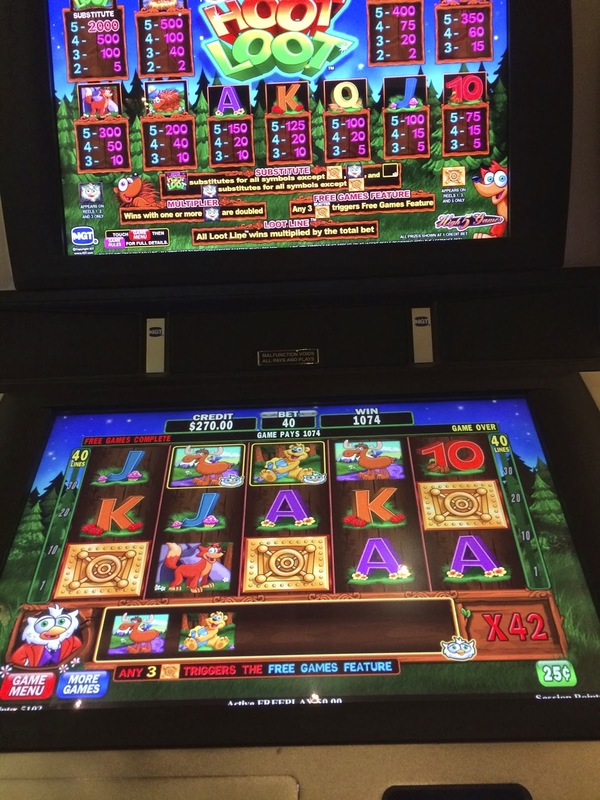 My luck while playing with Jason went to my head so I continued to play slots instead of going to bed. While I had a few minor wins, I started losing much more then I was winning but I was having fun so I continued to play. Finally though the fun stopped as the losses mounted and I went back to my room to pack up for leaving in the morning to return home. While I was packing I ordered dessert from room service because I still had some resort credit to use. Next morning I wasn't feeling 100 percent so I skipped breakfast and grabbed a taxi to the airport two hours before my flight is scheduled to leave. It's a good thing I gave myself plenty of time, because for the first time ever I encountered the baggage line from HELL! I'm not kidding, due to storms the previous day mid-west and east coast flights had been canceled the day before and a lot of people were trying to finally fly home and I guess baggage check in wasn't prepared to handle it. Security was every few feet to keep the peace and to prevent line cutting. I have never seen a line like this, we had to drag our luggage to the end of the airport where you couldn't even see the doors to enter the airport or baggage claim. None of us in line were holding out hope of making our flights, and of course out of my last four flights, today's flight was leaving on time! I was so discouraged I sent out some texts and Gwen and other friends suggested I just leave and go to Wynn and have Edward arrange for a room. I replied back and said I would do that after I missed my flight, that I wanted to wait and see it through so that Southwest wouldn't charge me extra and would make the effort to get me on a flight the next day since it wasn't going to be my fault that I missed the flight. Fortunately about 60 minutes into the line Southwest managed to open up more baggage stations and I was able to check my bag and thanks to having a TSA PRE boarding pass I flew through the security line and made my flight, whew! 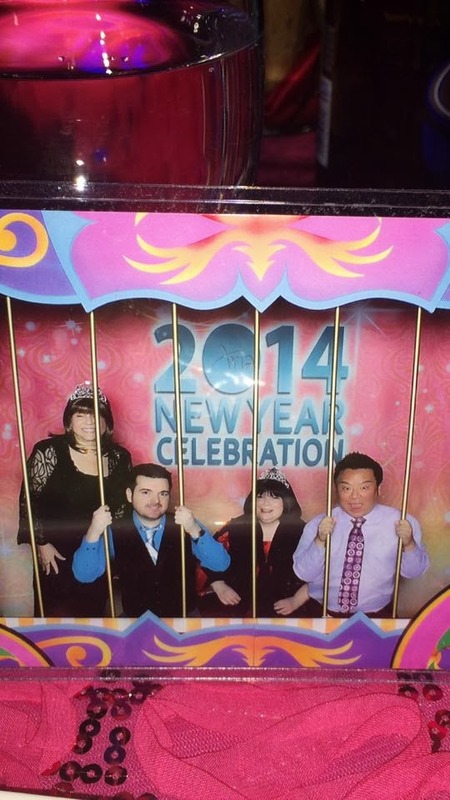 Las Vegas during New Year's Eve was fun! 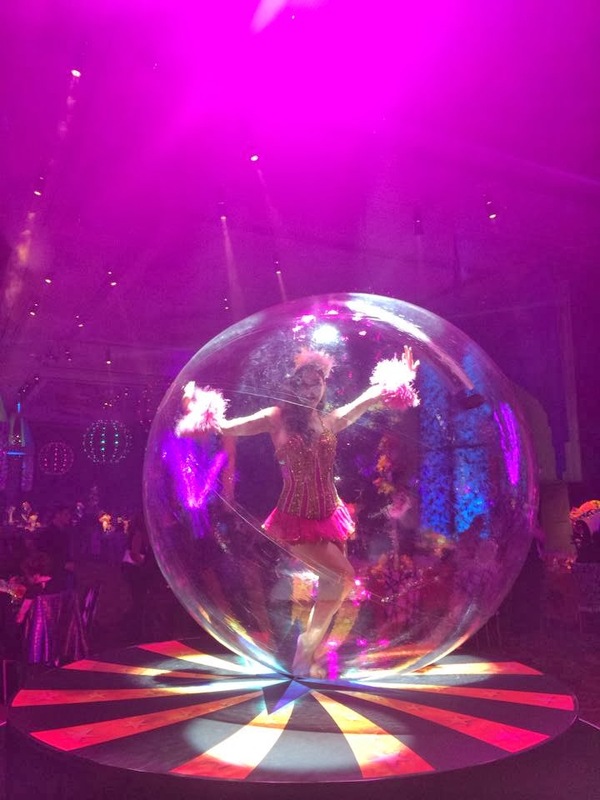 Perhaps it was the fact I was at a fabulous party inside instead of on the crowded streets, but I never felt uncomfortable from crowds and the couple days after New Years Eve the casinos were fine, a bit busier then usual but not unpleasant. I didn't return home with winnings this trip despite the nice hand pays and wins during my HL pulls, but I also didn't lose much. Yes, I stayed too long at the gambling party. I did make Platinum again with M-Life during this trip, so I guess I'm good now until October 2015. Think I would have preferred in hindsight to keep my winnings, LOL! My next trip to Vegas is with a dear friend, Boots! We've been planning for months to go to E at Jaleo and I'm really looking forward to doing that on February 8th when I'm back for four nights. I have a couple belated birthdays to celebrate with my friends Terri and Edward on this trip and also my friend Barb will be celebrating her birthday in Vegas on the 8th and I love birthdays! Wishing all of you a prosperous and healthy 2014! 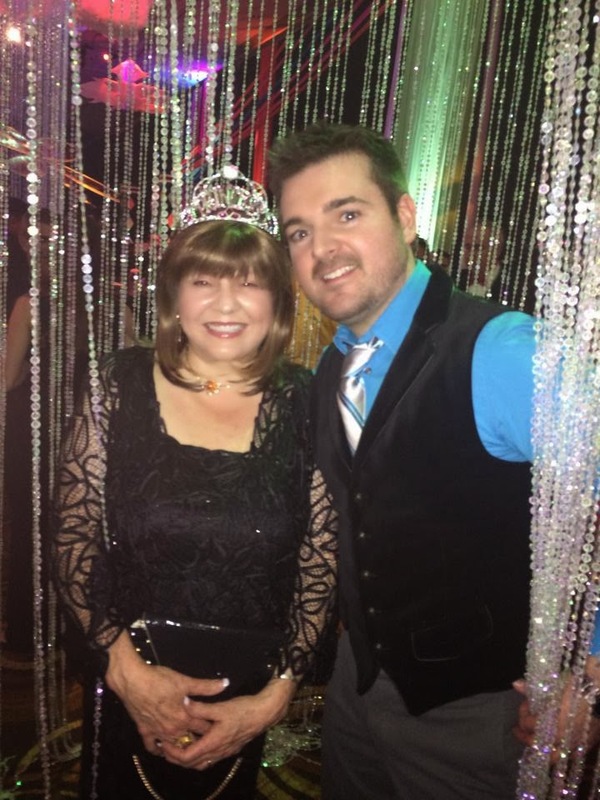 Hello Diana..awesome post.I know Aria's parties are really awesome as I had the pleasure of being invited to their Super Bowl party last year.And yes!! !..the bloody mary bar is awesome LOL..Your pics at LaCave make me really happy we are going there in April..can't wait!!! Good luck at your Feb trip!!! Thanks Mike. Looking forward to seeing you in April. BTW, I have never been to Vegas during Super Bowl. It's on my bucket list. :) Strangely enough not on husband's again because the sport he watches on TV is tennis. LOL! Loved your report, as always! 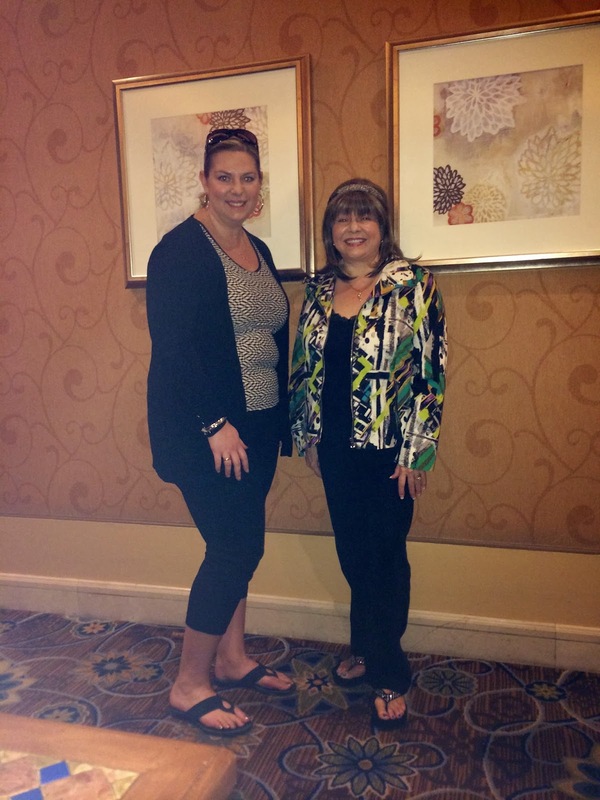 It was so nice to meet you at the Bellagio buffet, thanks for posting the photo of us! It truly is a small world. You never know who you'll run into in Vegas! Thanks for your blog, as I said when I met you, I truly enjoy reading about my fave place, and I have learned a lot from your reports! Happy travels, and good luck on your next trip! I'm working on planning my summer Vegas trip! Can't wait! Oh, and I already booked a room at Paris for next NYE! Lisa, I'm so glad you are also on SF now. 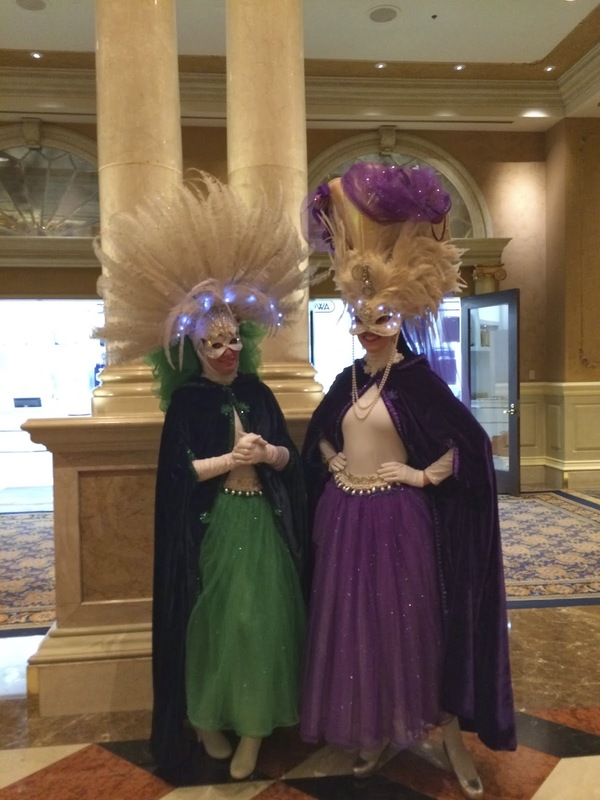 We're having the annual slot fanatics meet in April, always a great time to visit Vegas. :) I'm impressed you are already booked for next NYE! Chriss, thanks so much! One of these days we're going to have a coinciding trip again. I think it's been 3 years since we have seen each other! Wishing you a prosperous and healthy 2014! Hi Rebecca, I'm so glad you enjoy the blog. I'm in Vegas right now which is why I was late in replying. Sdguy is great, I even knew him before he had his Youtube channel. Awesome report as always. I celebrated my birthday yesterday, would have rather been in Vegas! LOL! Have fun if you are there now. And lots of luck. Happy Belated Birthday to you! I was in Vegas yesterday and just returned home. I wish you had been able to celebrate your birthday there as the weather was great this week. Good luck to you and I hope you can schedule a trip to Vegas later this year! ©2015 Las Vegas Daze All rights reserved. Picture Window theme. Theme images by bopshops. Powered by Blogger.